Fun, Food and Sun, San Diego has so many things to do for families! From theme parks to beaches, museums and historic sites, there are a variety of activities for any age. San Diego is a great tourist destination, but also a great place to explore if you’re a local! Many attractions have programs and classes for residents. The New Children’s Museum downtown has three levels dedicated to playing and art. The museum uses hands-on and interactive exhibits to engage children and encourage creativity, confidence, socialization, and collaboration. All art installations are inspired by children and have been constructed with them in mind. From playhouses to giant food sculptures, there is always something to run and jump on. The museum is also very interactive, around every corner you can find art areas for creating, blocks for engineering and objects for making. Outside, sculpt with clay or paint a giant metal object, sinks are nearby in case things get messy! The New Children’s Museum also has community events, workshops, classes, school groups, birthday parties and camps. Friday Toddler Time is a special time for the littles that supports healthy bodies and minds with music, language, and social play. Friday themes alternate between Storytime, Make Friends, and Finger Painting. Storytimes are fun and engaging and typically include props, puppets or anything that helps bring the story to life. Make Friends encourages social play through music, song, and dance. Finger Painting is just as it sounds, a fun time to make art with your hands (and parents don’t have to clean up!). Little Learners Club is a 4-week enrichment class that nurtures children’s bodies, minds, and spirits. Sensory play helps build young kids minds, which leads to better learning throughout their lives. Little Learners Club explores music, fitness, and art. Located in Balboa Park, the San Diego Zoo is home to over 3,700 animals and has more than 700,000 exotic plants. The zoo is known around the world and is often the number one destination for visitors. The zoo is massive, on 100-Acres it takes a whole day to see everything. Luckily there are buses, tours, and a Skyride to help navigate through Rainforests, African savannahs, and the Arctic. There are many play areas in the Zoo and kids will love finding something new around every corner. For residents, the zoo also offers several programs for children of all ages, which also includes camps, internships, and special birthday parties. Young kids can enjoy learning about animals during Kinder Nights. The evening program takes kids on an animal adventure and includes animal interactions. The featured animal changes based on date. All sessions also include a snack. Kinder Tots teaches little kids animal facts and green practices in a fun environment. The Zoo’s early childhood education specialists used themed sessions to connect with the children. Children will use music, colors, the alphabet and more while learning about different species. The ultimate parents night out! Drop off your kids for an evening with Dr. Zoolittle and friends. Kids will have a blast while they meet animals, play games and make crafts. A snack and souvenir is included, but kids should eat dinner before they go. Themes for Wild Night Out change monthly, to make the event fun each time. Zoo Corps is a great program for teens that are interested in animals, conservation, and education. Throughout the zoo, there are Discovery Stations that have facts, literature, games, and props to teach guests about the animals. Zoo Corps gives teens the opportunity to work with members at these Discovery Zones while practicing public speaking and guest interaction. Interested teens will have to attend an informational meeting, submit an application, and interview for the position. With only two sessions offered per year, Zoo Corps is a popular program. For over 50 years the San Diego Zoo has been offering internships to high school juniors and seniors. This highly coveted program is 7 weeks long and takes the teens behind the scenes at the zoo, the Safari Park or the International Institute for Conservation Research. This internship is a great way to explore fields of veterinary medicine, zoology, botany and wildlife conservation. Interns share their journey on the Zoo Blog through essays and photos. 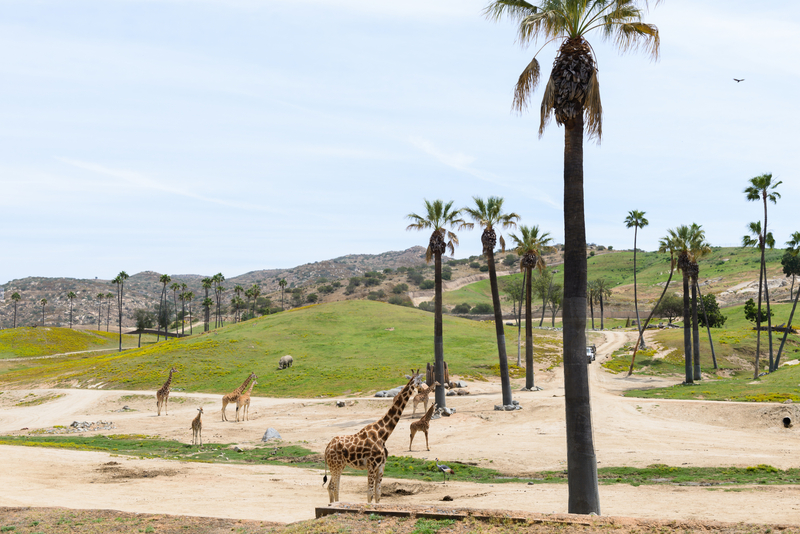 The San Diego Zoo Safari Park is an unexpected wonder in North County San Diego. Acres of habitats and savannahs are hidden amongst the hills. The Safari Park is massive, which means that even on busy days you don’t feel crowded. The Park takes you on a journey through Bamboo Forests, Jungles, and the Savannah. In each area, kids will find Play Structures, on hot days kids can even cool off on Splash Pads. The Safari Park offers various extras that you can add to your day. Be sure to research the age requirements before you get there. The Park also has an overnight experience, offers camps and school programs. For the family that wants a little something extra, you can actually stay at the Safari Park overnight. That’s right, Roar and Snore allows you an after hour look at all the animals. Sleepovers include camp activities, guided walks, campfires, dinner, snacks, and breakfast. The price is a bit extravagant, but the experience will provide memories for a lifetime! The Safari Park has half day and full day camps available for kids ages 2 years up to Seniors in High School. The camps are educational, interactive and help in the unique setting of the park. For High School students the Safari Park offers a program that involves the students in guest education. This 5-week program only runs two times a year and must be applied for. The program teaches public speaking, conservation methods, and science. SeaWorld is an aquarium, a theme park, a marine mammal park and more. In recent years SeaWorld has become a polarizing topic. To combat that, they have switched their theme to conservation. They have also added rides and attractions without animals to cater to families. SeaWorld offers several deals on Admission Prices, check them out here. SeaWorld is exactly that, a portal into the fascinating world inside the sea. Seaworld has informative and interactive animal encounters. There are touch pool and tide pools, aquariums with octopus and spider crabs, and encounters with sharks, penguins, and turtles. Larger animals include walrus, beluga whales, dolphins and of course, orcas. The Orca Encounter is no longer a “show”, but highlights natural behaviors and teaches about orcas in the wild. SeaWorld has thrill rides for all ages. Large roller coasters include the Manta, Journey to Atlantis and Shipwreck Rapids. Smaller kids can enjoy rides at the Sesame Street Bay of Play. Children of any age can enjoy the Skyride and the Skytower. For busy days a Quick Queue Pass is available to skip long lines. Please check height requirements prior to your visit. SeaWorld has a variety of shows during the day. There are animal-based shows, such as the Sea Lion, Dolphin, and Orca Shows. There is also a show filled with trained rescue animals, called Pets Rule. SeaWorld revolves themed shows based on holidays throughout the year. On certain holidays, SeaWorld also features fireworks. SeaWorld offers a variety of educational camps, sleepovers and school programs during the year. Anyone who has kids knows that Legos are essential. The little plastic bricks open up a world of imagination. Lucky for us, North County is home to Legoland California Resort. North County’s only theme park, Legoland is not only great for Lego enthusiasts, but for anyone with kids, or who are kids at heart! Aimed at children 2-12, locals can enjoy a membership to visit the aquarium, theme park all year round. The water park opens in March. Legoland also several special events during the year including Star Wars Days, and New Year’s Eve for kids. Check out Your North County’s Complete Legoland Guide for everything you need to know about the park. Balboa Park is a National Historic Landmark. The park was established in 1868 and has evolved over the last 150 years, into what it is today. Balboa is home to great gardens, museums, cultural centers, live performances, and the San Diego Zoo. The park has become a cultural hub and hosts many community events and cultural festivals annually. With many activities geared for children, the park is an ideal place to spend the day. Make sure to explore beyond the main courtyard of museums to find playgrounds, a train, and carousel. There are several ways to enjoy Balboa at discounted prices. Resident discounts, Explorer Passes, and Kids Free October are only some of the ways to save. On Tuesdays Balboa Park offers San Diego County residents free admission to the Museums (please see calendar for dates, certain exhibits may not be included). 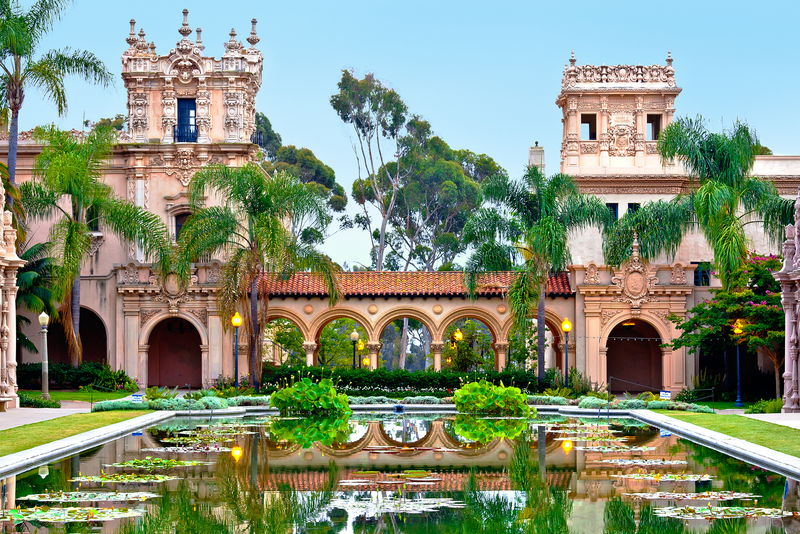 The Explorer Pass allows visitors to explore Balboa museums in an affordable way. With an Explorer Pass visitors can customize their savings and choose between Annual, Multi-Day and Single Day options. Historically, February is the slowest month for local museums. To change that, Macy’s Department Stores and San Diego County Museums have joined together and created Macy’s Museum Month. During the month visitors can explore local museums and gardens at a fraction of the cost. A gift to residents, Kids Free in October offers Free admissions throughout the county to encourage locals to explore what makes the city great. A cultural hub, Balboa is also home to many Youth Performance Groups. The Park supports dance, theater, and music for the next generation. Balboa has supported the San Diego Civic Youth Ballet for over 70 years. The SDCYB teaches classes for children at the Casa del Prado and also has an outreach program that brings ballet to over 600 students in public schools. SDCYB instills a love of dance and performance. The school has three full-length stage productions throughout the year and also performs during special events. The SDCYB also has camps, intensives, and offers discounted performances for school groups and scout groups. The San Diego Youth Theater is the longest running youth theater company in the United States. Established in 1948, the theater offers a variety of community and educational programs. Classes include drama, voice, dance, and theater for kids ages 3-18. The theater also hosts a variety of youth productions throughout the year. The San Diego Junior Theater also offers camps. Serving over 600 students annually, the San Diego Youth Symphony is one of the oldest youth symphonies in the United States. The symphony offers a variety of programs that inspire, educate, and showcase talent. Great for any level of musician, the Symphony instills a love of music at an early age. The Birch Aquarium in La Jolla is home to more than 5,000 types of sea life and highlights research done at the Scripps Institution of Oceanography, UC San Diego. The Birch Aquarium has something for every age. The habitats are beautiful to look at, there is a giant kelp forest and a bioluminescent Infinity Cube. 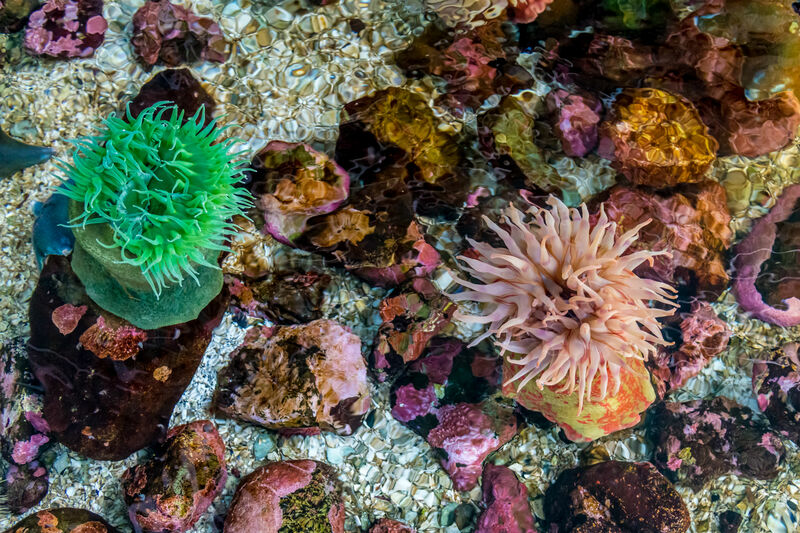 Younger visitors will not only enjoy the colorful marine life but get to touch starfish in the Tide Pools and explore the concept of energy in an outdoor interactive play area. Throughout the year the Aquarium offers several special events for children. Birch is also available for school groups, camps, scout groups and birthday parties. SEA stands for Science, Exploration, and Adventure. Once a month, Birch invites guests to meet researchers from the Scripps Institution of Oceanography. Every month the scientists will share information on different topics and is a great way for older kids to meet science professionals. The Birch Aquarium celebrates spring with fun and interactive activities. Kids get to explore animal eggs, create crafts and participate in an underwater egg hunt. The event also features a scavenger hunt, free face painting, and a Scuba Bunny Dive Show. At the end of October Birch becomes a spooky haunted aquarium. Families will have a blast learning about the ocean with a creepy theme. Kids will get to make slime, build crafts, enjoy storytime, and dance to live music. The Haunted Aquarium encourages family-friendly costumes and awards prizes! The event also includes community organizations that set up their own games. During the month of December, the aquarium celebrates the holidays with lots of themed fun. The aquarium is transformed into a winter wonderland, and Santa even makes an appearance in Scuba gear. The month features themed activities, crafts, a scavenger hunt and more. On the weekends SEAs N’ Greetings also features live music. The only way to describe the Botanic Garden in Encinitas is MAGICAL. You can explore the grounds time and time again and still find new surprises and hidden nooks. With picnic tables and benches throughout the grounds, the garden is a great place to spend the day. The Garden also hosts many family-friendly events throughout the year. Not just for exploring, The Botanic Gardens has two children’s areas: The Seeds of Wonder and The Hamilton Children’s Garden. The Seeds of Wonder is located to the south of the main parking lot and is geared towards younger children. The area has small trails to explore with sculptures and hands-on activities. There is also a small playhouse with books and a play kitchen, a train set that moves with buttons and a water play area. On Tuesdays, Wednesdays, and Thursdays at 10am, the Seeds of Wonder hosts various activities for kids under 6 years old. These activities include storytimes, songs, arts and crafts, plant potting and train lessons! The Seeds of Wonder Area is also available for birthday parties. The Hamilton Children’s Garden is located at the Northeast corner of the Garden. It is a bit of a walk from the main parking area (with one big hill), so if you have smaller children, a stroller or wagon is recommended. The Children’s Garden is a maze with a new activity around every corner, and in the center is a giant tree house! You will also find a musical garden, a vegetable garden (where you can plant and take home a succulent), a water play stream, an art area and more. The San Diego Children’s Museum is a North County must for kids under 10. The exhibits focus on science, culture, and art, and inspire children to learn through hands-on exploration, imagination, and experimentation. The museum’s colorful and inviting space is split into several different areas. An Experimentation section has interactive activities based on science, math, and engineering. The Exploration area uses a local market, dress up area and books to feature various cultures (rotating). Imagination is encouraged on the stage which has musical instruments, puppet shows, and dress-up areas. Outside, the Discovery Zone has gardens, Lego fountains, chickens, sandboxes and bubbles! Not only does the Discovery Museum have full-time exhibits. There are many special daily activities to enjoy as well. Weekly self-guided classroom activities are provided based on the featured culture. At 11am and 2pm daily, staff members ring the bell and gather kids into the Book Nook (complete with bean bags), for Storytime. At 10am and 3pm, the Outdoor Art Studio Workshop hosts 30-minute art projects (theme changes monthly). The Children’s Discovery Garden has exploration times at 10:30am and 3:30pm, where activities include watering plants, looking for bugs and learning about compost. AT 11:30am and 2:30pm kids can meet the chickens, they can also feed, pet and learn how to care for the chickens. Besides the daily activities, the Museum hosts a bevy of Special Events and Programs. These include a KPBS day, Farm Animal Days, and even a Sensory Friendly Day. The museum is also available for camps, scout programs, and birthday parties. Queen Califa’s Magical Circle is a special and enchanted garden, filled with brightly colored mosaic sculptures, inspired by California’s mythical and historical past. Hidden within Kit Carson Park, finding the garden is part of the fun. Designed by the French artist Niki de Saint Phalle, the mosaic garden features nine large-scale sculptures, a maze entryway and is encircled by a circular snake wall. Weather permitting, Queen Califa’s Magical Circle is only open on Tuesdays and Thursdays from 9am to Noon. If you can’t make it on a weekday, the Circle is also open on the second Saturday of each month from 9am to 2pm. La Jolla has seven naturally-carved sea caves. Popular with kayakers, most of the caves can only be accessed by water. The Sunny Jim Cave is the exception. The Cave Store is a short walk from La Jolla Cove. An eclectic shop, the store has clothing, jewelry and more. The store also has a man-made cave entrance. A stairway in the ground may seem to lead to a lower level, but in fact, it’s a tunnel to the Sunny Jim Cave. The stairs are steep and plentiful, which may be difficult for younger children. I suggest 5 and older. Also beware, the stairs get slippery towards the bottom. The Sunny Jim Cave is a fun and unique family activity. Afterwards, families can follow the trail west of the parking lot to enjoy the scenic sandstone cliffs. Hours: Monday-Thursday: 10am-5:30pm; Friday-Sunday: 9am-5:30pm); Cave Entry closes at 5pm daily. Ellen Browning Scripps Park is one of the most popular parks in Southern California. Right on the water, the park is always buzzing with people. It’s beautiful location also makes it very popular for weddings and photographers. For kids, the park is a great place to have a picnic when exploring nearby La Jolla sights. The park even has a special tree that inspired Dr. Seuss’s Lorax Trees. Just north of the park is La Jolla Cove. Just south is the Children’s Pool, which is filled with wildlife. La Jolla Cove is a small beach just north of Ellen Browning Scripps Park. 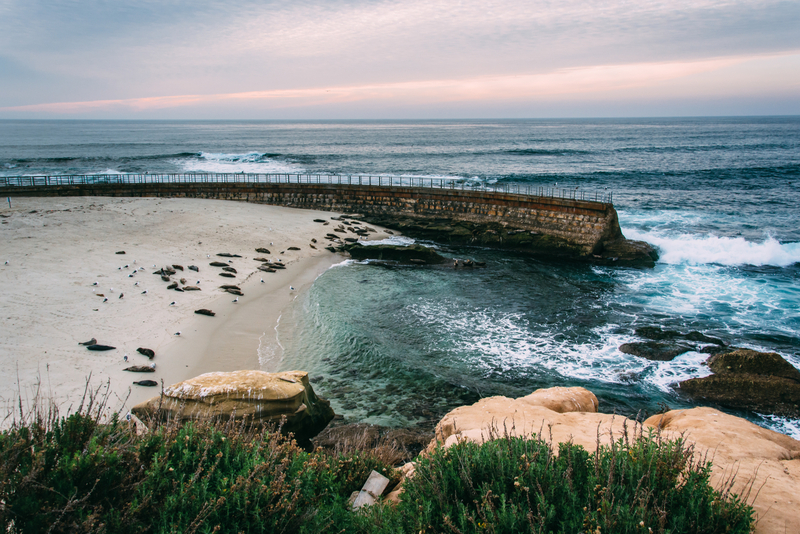 The Cove is part of the La Jolla Underwater Park Ecological Reserve which preserves the area and its inhabitants. On calm days the water visibility can exceed 30 feet, which makes the area popular for scuba divers and snorkelers. There is always a lifeguard on duty for swimmers and surfers. Picturesque, this beach is a local favorite. From the park, you can follow the sidewalk south to the Children’s Pool. Originally the Children’s Pool was meant to be a protected swimming area, but it has since become a favorite resting spot for harbor seals. Seals can be found at the Pool year round. Beach access is restricted during Harbor Seal Pupping Season, December 15-May 15. At this time you can still watch the seals from above. The San Diego Model Railroad Museum is the largest operating railroad museum in the world. The 28,000 square foot space is home to four large scale model layouts built by different clubs. The layouts celebrate the history of railroads in the Southwest and display many California railroad models. The museum also celebrates the history of model railroading, and has part of the original model railroad that was built for the California Pacific International Exposition in 1935. For kids the Museum has a toy train gallery on display. The interactive Lionel Layout is colorful and has state-of-the-art theater lighting. Kids will love to look at the details of the display as the trains circle the track. The Model Railroad Museum also has a kids corner that features many train-themed books. On Fridays from 10am-11am Mac’s Kids Corner hosts a storytime. 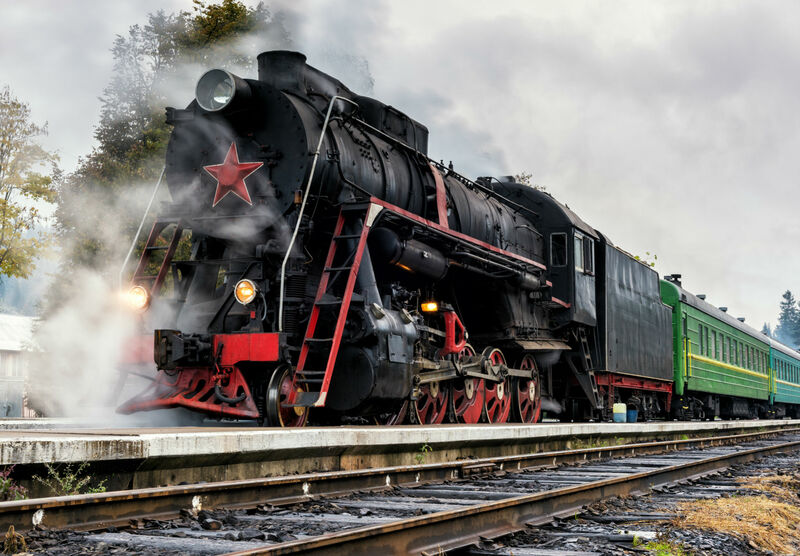 The San Diego Railroad Museum is also offers Summer Camps and is available for school groups and birthday parties. (open on Holiday Mondays 11am-4pm), Closed on Thanksgiving and Christmas Day. $5/Children (6-14 years old); Children Under 5 years old are free. The San Diego Museum of Man has exhibits that are focused on human history and culture. The museum is filled with unique hands-on displays that are educational and fun. The Museum of Man also has guided tours of the iconic California Tower. Learn the history of Balboa while on the 8-story climb and be rewarded with 360º views of San Diego. The Museum of Man also has a kid-specific exhibit called Adventure Kids in Egypt. The interactive area transforms children into archaeologists, scientists, and historians, as they explore through puzzles, crafts, and games. The Museum of man is also available for school groups and offers camps. The Mingei International Museum explores the art of the world through folk art, crafts and design from all eras and cultures. The exhibits are vibrant and colorful. Kids will especially love the Play! Collection which features toys from differents regions and time periods. Once a month the Mingei Museum hosts Family Sunday. On these days kids can explore the museum with an interactive treasure map. The day also offers docent tours, hand-on crafts and take home prizes! Family Sundays are $5 per family. years old); Children Under 5 years old are free. Residents Free: Third Tuesday of the month (with ID). The Marie Hitchcock Puppet Theater has been part of Balboa since the California Pacific International Exposition in 1935. The physical Theater was founded in 1948 and is the longest running puppet theater in the United States. Part of Balboa’s history, the Theater still performs for thousands of guests each year. The Puppet Theater is also available for birthday parties.The theater has 200 seats and performs multiple shows throughout the week. The performances are rotated often, and typically feature large format puppets. Check the schedule for more information. Admission: $5/General, $4 Seniors and Military, Children 2 and Under are free. An affiliate of the Smithsonian Institute, the San Diego Air and Space Museum houses a collection of aircraft and spacecraft from all over the world. The collection includes a working replica of Lindbergh’s Spirit of Saint Louis, the actual Apollo 9 Command Module and the only GPS satellite on display in the world. The museum celebrates the history of flight from the first hot air balloon through space exploration. The San Diego Air and Space Museum inspires the next generation through a variety of programs, competitions, and workshops held throughout the year. The museum is also available for summer camps, school groups, and birthday parties. The museum has a special play area just for kids. The Kid’s Aviation Action Hanger features interactive exhibits for kids of all ages. Younger kids can enjoy magnetic toys and pedal planes. Older children can explore a simulated moon surface or try flying in a real wind tunnel. The area actually has two flight simulators and a large F-104 Starfighter cockpit, that’s perfect for pictures! The Kids Hanger is closed for maintenance on Resident Free Tuesdays. For preschoolers, the museum offers a Little Engineers Program. The hands-on program prepares kids for school by encouraging observation, communication, and problem-solving. Project-based, Little Engineers is a fun and creative way to introduce kids to science and engineering. Residents Free: The 4th Tuesday of the month (except December). Must Show ID, certain exhibits not included. The WorldBeat Cultural Center is a multicultural arts organization that celebrates cultures and traditions from all around the world. The center offers many classes for the community and holds events throughout the year. For kids, the center has a West African Drumming Workshop and a Children’s Peace Garden. Master of Drums, Nana Yaw Asiedu, has played all over the world with musicians that include Herbie Hancock, Quincy Jones, and Taj Mahal. Asiedu has been teaching the art of drumming to children at the WorldBeat Cultural Center for over 14 years. Children are never too young to start learning the rhythm of the world! A part of the WorldBeat Cultural Center, the EthnoBotany Children’s Peace Garden is dedicated to teaching urban kids the benefits of plants, nutrition, and urban farming. The garden was built in the memory of George Washington Carver and honors his groundbreaking contributions in Botany. The garden is earth-friendly, a certified wildlife habitat, and a certified Monarch Waystation. The majority of the plants are edible while others are used to attract pollinators. With the help of local Kumeyaay tribal members, a portion of the garden is terraced and grows indigenous plants and vegetables following Kumeyaay agricultural traditions. On Sundays, the Children’s Peace Garden offers classes to educate the public about sustainable urban gardening and about the role plants play in society. The garden is also available to schools, groups, and families by appointment. The Fleet Science Center is a great place to spend with children of all ages. The center has over 100 science exhibits and an IMAX theater. Visiting exhibitions rotate throughout the year and are always interactive and immersive. For kids 5 and under, the center has a special exhibit called Kid City. Kid City is colorful and is filled with hands-on activities. There is even an area just for crawlers. Fleet Science Center offers various programs for the community that instill a love of science at an early age. Fleet also hosts camps, scout badge programs, school groups and is available for birthday parties. Young Scientists encourages kids 3-5 to explore in an informal and fun environment. 4-class sessions focus on different aspects of science. Kids will love to learn about the ocean, music, machines and more with hands-on activities. The second weekend of each month Fleet hosts clubs for middle school kids. Saturdays are for girls only and meet from 12pm-2pm. Sundays are co-ed and meet from 1pm-3pm. Both clubs allow the kids to explore various scientific fields through fun hands-on activities. The Junior Science Club is for kids in elementary school. The club meets once a month and explores science through hands-on activities. Each month kids will meet local scientists and explore an array of fields including chemistry, robotics, physics, biology and more! The Fleet Science Center has a unique program for Girl Scout Groups and Boy Scout Groups of all ages. Throughout the year the Science Center invites scout groups for sleepovers. The Scouts get to explore the museum, watch an IMAX movie, participate in educational workshops, and even get to do a scavenger hunt in the center. Sleepovers also include music, dancing, and a light continental breakfast. The Fleet Science Center also has Badge Workshops for scouts of all ages. Admission: $19.95/Adult; $16.95/Junior; $17.95/Senior (65+); Add $5 to include featured exhibit. The San Diego Natural History Museum has 5 stories of interactive exhibitions that the whole family will enjoy. The museum focuses on the evolution of the natural world with an emphasis on the southern California and Baja California regions. Kids will love the dinosaur fossils, the skull exhibit, and a giant screen theater. The museum also hosts special days for families, has school programs and camps. Younger attendees can enjoy storytime and explore an exhibit during Nature and Me Storytime. The second Saturday of every month the Natural History Museum opens its doors early for the Autism Community. The quieter and less crowded hour allows adults and children on the spectrum time to explore the museum at their own pace. The theater also shows a private screening of Ocean Oasis on the giant screen in a lit theater with lower volume. The museum also offers a “quiet room” during ASD mornings if visitors need a place to decompress and desensitize. September through May theNat hosts Family Days once a month. From 11am-3pm, the museum encourages visitors to explore nature’s wonders through hands-on activities and take home crafts. Residents Free: First Tuesday of every month. The Japanese Friendship Garden celebrates the bond between San Diego and its first sister city, Yokohama. Visited by over 100,000 people annually, the gardens are immersive and beautiful. They feature Japanese culture through landscaping, koi ponds, water features, and Sukiya-style architecture. A great community resource, the gardens have a variety of educational programs, artists, exhibits, and festivals. Every Spring the garden celebrates the Japanese custom of Hanami, which is the appreciation of Cherry Blossom flowers. The garden bursts into a beautiful pink wonderland when the Cherry Trees bloom. The festival celebrates this glorious occasion with live performances, Japanese street food, vendors and a Children’s Corner. The Japanese Friendship Garden has a unique music program just for kids. Serious students of any skill level can learn the beautiful art of Taiko. The garden is forming middle school and high school Taiko ensembles to perform at festivals and private events. Children will not only learn the art of Taiko, but will also learn Japanese etiquette, vocabulary, focus, and camaraderie. The team meets Thursdays from 4pm-5pm. One of the most popular locations in North County is the Del Mar Fairgrounds. Well known for the County Fair and Horse Racing, the Fairgrounds go beyond that and provide family entertainment year round. Featured below are some of the most popular annual events, but make sure to see the calendar for other unique experiences. Every year in October and April, the Fairgrounds host the San Diego Kids Expo and Fair. The indoor Expo features 150 local and national vendors that have kid-specific products. Meet representatives from local sports teams, dance and art studios. Stages feature local talent all day. Outdoors, the Fair is set up with inflatables, a zip line, human hamster balls and much more! The Kids Expo is a great way to find local classes, clubs and kids services. Since 1955, the San Dieguito Cotillion has been teaching children self-confidence and poise. With programs throughout the year, kids in 5th-12th grade learn ballroom dancing, manners, and social etiquette. All classes are held at the fairgrounds and themed dances are hosted throughout the year. Every June the Del Mar Fairgrounds hosts one of the largest County Fairs in America. The San Diego County Fair is so much more than fried foods, carnival rides, and livestock. Each year the fair showcases children in many ways. From performances to art contests, 4-H groups, and cooking, the fair has always included local youth. The rides and musical groups are a big draw, but make sure to spend some time looking through the exhibits and see how amazingly talented our kids are. The Del Mar Horse Races have been a San Diego tradition since the 1930’s. Every summer people flock to the races for the fun, thrill, and excitement. The Del Mar Thoroughbred Club has made the experience family-friendly. Every race day the Thoroughbred Club offers Camp Del Mar. Kids aged 5-12 can enjoy mini golf, crafts, activities, lunch, and snacks while their parents are at the races. For only $24/day, kids can have as much fun as mom and dad. On the weekends, kids get in free! While parents enjoy the races, the kids own the infield. Free activities include pony rides, bounce houses, face painters, caricature artists, entertainers and more. Some people love to be scared. If you have older kids that love horror, the Scream Zone is the place to be in October. The Scream Zone is San Diego County’s largest, goriest and scariest haunted experience. The Zone features three main haunting areas: the House of Horror, the KarnEvil, and the Haunted Hayride. In the House of Horror, there is room after room of visual and visceral experiences, clowns will scare you until you don’t know which way to go in the darkness! The Haunted Hayride takes you on a journey filled with zombies, clowns, and other wicked characters. KarnEvil incorporates everything scary from freak shows and carnivals and amplifies them until visitors are terrified. Parents are welcome onto the grounds free of charge if they don’t want to participate in any of the horrors. The Cabrillo National monument is located on the southern tip of Point Loma. Established in 1913, the historical grounds commemorates Juan Rodríguez Cabrillo. Cabrillo was a Spanish explorer and was the first European to set foot on what is now the west coast of the United States. 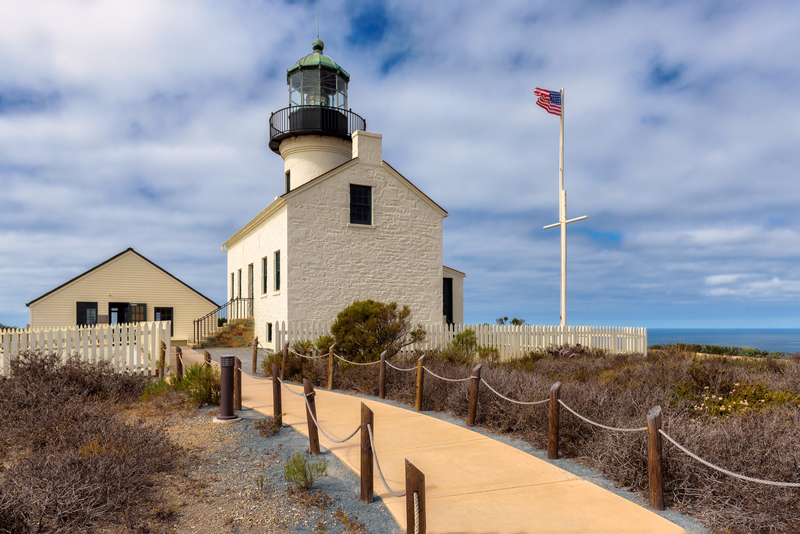 The Cabrillo National Monument has a variety of activities including hiking, tide pooling, a lighthouse, and whale watching. The park also has a Scout Badge Program available for Boys and Girls Scout Groups. The Junior Program is a fun way for kids to learn about the park. Children can pick up the free Just For Kids newspaper to use as an informative guide during their visit. After they have finished, they return to the Visitor Center and talk about what they learned. Park Rangers will issue an official badge and have them recite an oath. Annually at the end of September. The Cabrillo Festival is a fun family event that celebrates history and culture. The festival begins with the reenactment of Juan Rodríguez Cabrillo’s first step on the sand. The festival includes live performance, educational activities, cultural demonstrations, food, and artisans. Musical and dance performances highlight our diverse history and highlight traditional Native American, Spanish, Portuguese, Mexican cultures. During the festival, the Kumeyaay tribe also demonstrates traditions such as basket weaving. Approximately 200,000 sailors served aboard the USS Midway during its service almost 50-year service. Now a museum, a visit to the USS Midway is educational and awe-inspiring. The self-guided tour traverses the whole ship, including sleeping quarters, the bridge, the engine room, the galley and the brig. Above deck, there are many different types of aircraft, open cockpits to explore and flight simulators. The Midway offers many educational programs, including overnight adventures. Little Skippers (Ages 4-7), Live It and Learn It (Ages 8-18), and Specialty Overnights are offered a few times a year. During these overnights, participants get to explore the flight deck under the stars, sleep where enlisted crew members slept, eat in the galley, and learn about the ship through games and activities. The Midway also has programs specifically for scout groups. Including a Merit Badge Program for Boy Scouts and a program in which Girl Scouts can earn their wings. The Living Coast Discovery Center educates children about local wildlife, environmental protection, and coastal conservation. The center is quaint and easy for younger children to navigate. The feeding demonstrations are informative and the view is spectacular. Children can see sea turtles, rays, and spiny lobsters. There are also feathered friends such as owls and falcons. Living Coast is great for an afternoon picnic and also has hiking trails that lead to the beach. Living Coast offers several programs and is available for scout groups, camps, and birthday parties. For teens interested in animals, Keeper 101 is a great weekend experience. The two-day behind the scenes look gives teens a rare opportunity to see what it takes to care for animals. They will shadow Animal Care Staff and learn how to feed the birds, clean enclosures, and get to handle some of the animal ambassadors. Offered various times of the year, Living Coast keeps the classes small for a personalized experience. For families, Living Coast offers a spooky overnight adventure in October. The night includes spooky animal encounters, a treasure hunt, night hiking through the marsh and creepy snacks. After a night of fun activities, families relax with a movie for their indoor campout. Continental breakfast is served in the morning. Scout Groups are welcome for Overnight Adventures year round. There are three themed adventures to choose from and all include activities, education, crafts and animal encounters. The evening includes pizza, salad, snacks, and fruit. After the activities have ended, campers will watch a movie and sleep indoors. The following morning will feature continental breakfast. 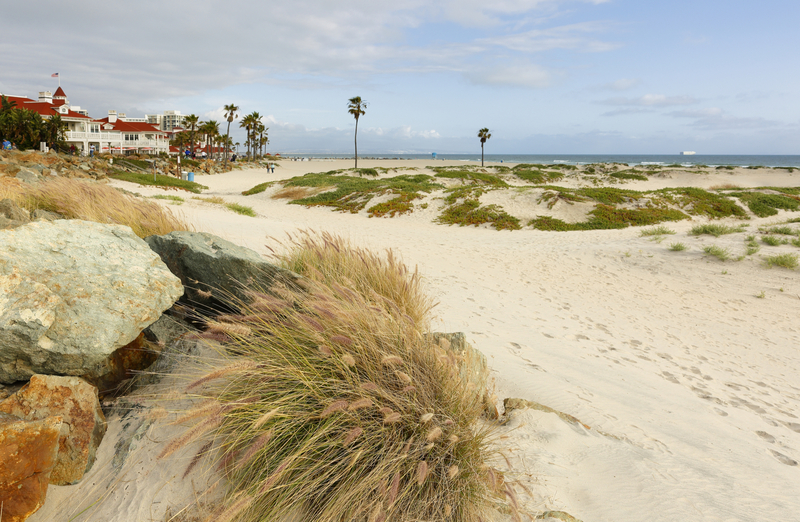 Coronado Beach is one of the most well-known beaches in San Diego County. The beach is 1.5 miles long and is popular with families, surfers, and sunbathers. The sand and water of Coronado beach glimmer with little specs of Mica. This shine adds to the magic. The beach offers a lot, a dog park, fire rings, restrooms, tidepools, restrooms, fishing and lifeguards on duty. The beach also backs against the famous Hotel del Coronado, which is an amazing place to stay if you want to enjoy the beach for multiple days. Open May-October, Aquatica by Seaworld is a family-fun waterpark. Great for the whole family Aquatica has slides, rides, a wave pool and more. Families can lounge in many of the chairs surrounding the attractions or upgrade to a Cabana for the day. On popular days, long lines can be avoided by buying a Quick Queue Pass. Proper swimwear is required on slides (no cotton or vinyl shorts allowed). Be sure to check height requirements, dress codes and any extra features out before you go. Aquatica has things to do for all ages. Older kids will love slides like the HooRoo Run that plunges 80’ into the water. Tassie’s Twister takes a raft of multiple people down a 75’ drop before spinning into a six-story funnel. Younger kids will have fun at Walkabout Waters, a four-story water-filled play structure. Or on Loggerhead Lane, the park’s lazy river. The littlest guests have their own protected area called the Slippity Dippity. There they will find shallow waters and small slides. Aquatica also has Flamingos and Freshwater turtles onsite which are fun for the little ones to watch. Aquatica also has a variety of dining and shopping options. To make things simpler, Aquatica offers a cashless wristband feature. The bands are linked to your credit card so you don’t have to carry any valuable around all day. Seaport Village is a collection of shops and restaurants all along the bay. A nice place to enjoy an afternoon stroll, Seaport Village has some fun stuff to do for kids. On the top of the list is the historic indoor carousel built in 1895. $3 to ride, the carousel is faster than some and has some beautifully painted horses and animals. Near the carousel, you’ll find henna artists, balloon artists, caricature artists and ice cream shops. Seaport Village also has many family-friendly shops. There are souvenir and clothing shops, as well as specialized shops. Families will enjoy The Magic Shop, which holds all things magic for the beginner to the experienced magician. Apple Box is a different kind of toy store that specializes in toys made of wood and can personalize almost anything in the store. Kite Flite, sells many levels of colorful kites and fun outdoor play toys. After visiting Seaport, make sure to stroll around the Embarcadero Marina Park North. The park is located on a peninsula that juts into the bay and is filled with grassy areas and beautiful Coral trees. Seaport also hosts several Special Events during the year. Events include a Busker Festival, a pirate-themed Landlubber Day and Holiday Events. The Maritime Museum is a collection of ships that educate the public about the history and science of the sea. The historic vessels include sailing ships, steam-powered boats, and submarines. The Maritime Museum also has several nautical exhibits, including the history of chart navigation, the age of exploration, and the steam age. Included with admission is the Star of India. Constructed in 1863, the Star of India is the world’s oldest active sailing ship. Built out of iron, the Star of India has circumnavigated the world 21 times. Another unique vessel is the B-39 Submarine. The B-39 is an authentic diesel-electric submarine from the Soviet Navy. Commissioned in 1967, the sub served active duty for more than 20 years, through the height of the Cold War. The Maritime Museum also hosts several special events throughout the year. 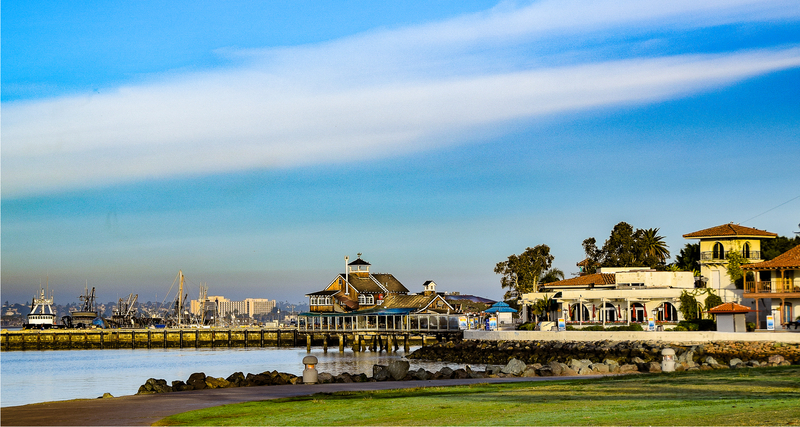 Waterfront Park is located just across from the Maritime Museum and has a view of the Star of India. The large public space has gardens, a children’s play area, and an interactive water feature. On hot days families congregate in the downtown oasis. Kids play on the modern play structures and splash in the public fountains. The park also has several picnic areas and restrooms available. Located just south of Del Mar, the Torrey Pines State Natural Reserve is one of the most picturesque locations in all San Diego. The 1,750-acre reserve has sandstone canyons, pine forests, and trails that overlook the ocean. Open during daytime hours, the trails are highly maintained and have various levels of difficulty. The Visitor Center/Museum has free guided nature walks for the general public on weekends and holidays at 10am and 2pm. The natural reserve is a great place to hike, but to preserve the ecosystem, only water is allowed in. Please keep pets at home and save picnics for the beach below. Torrey Pines is also available for School Groups and Scout Programs. Not just for hiking, children ages 7-12 can also participate in the California State Parks Junior Ranger Program. Torrey Pines State Natural Reserve hosts sessions throughout the year. Lessons may include crafts, hikes, and education about local plants and wildlife. The free program is supported by the Torrey Pines Docent Society and California State Parks. Founded in 1769, San Diego was the first European Settlement in California. On 230 acres, Old Town is rich with history and culture. Old Town is a great place for kids to learn about San Diego history and has lots of shops and restaurants throughout. Old Town also hosts a series of events during the year for the whole family. Town celebrates Mexican Heritage with a weekend packed with fun. The event includes live performances, mariachi groups, lowrider clubs, Lucha Libre matches, stagecoach rides and more. The Fiesta also has activities just for kids, such as a petting zoo, pony rides, and activities. Beginning with a parade to celebrate Independence Day, Stagecoach Days delve into the past and explore our heritage and traditions. On Saturdays in July and August, Old Town explores different themes with special demonstrations and historical artifacts. Learn how Blacksmiths forged, or watch Vaqueros ride and rope, Stagecoach Days transport you through time. Old Town celebrates Mexican culture with a Dia de Los Muertos celebration to remember those who are no longer with us. The festive weekend includes face painting, altars, public memorials, arts and crafts, piñatas and traditional dancers. Roller Derby teaches players how to stay focused and be calm while under pressure. The San Diego Derby Dolls were established in 2005 and represent the San Diego Community with integrity. Roller Derby promotes athleticism and community. For young girls, the Derby Dolls offer two Junior teams, the Juvenile Dollinquents and the Baby Dolls. Recruitment and orientation for junior skaters is year round. The San Diego Derby Dolls all-star junior travel team. This team plays flat-track and banked track derby. Team members are encouraged to play with athleticism and professionalism. The junior B-team is for younger skaters who are just learning flat-track and banked derby. 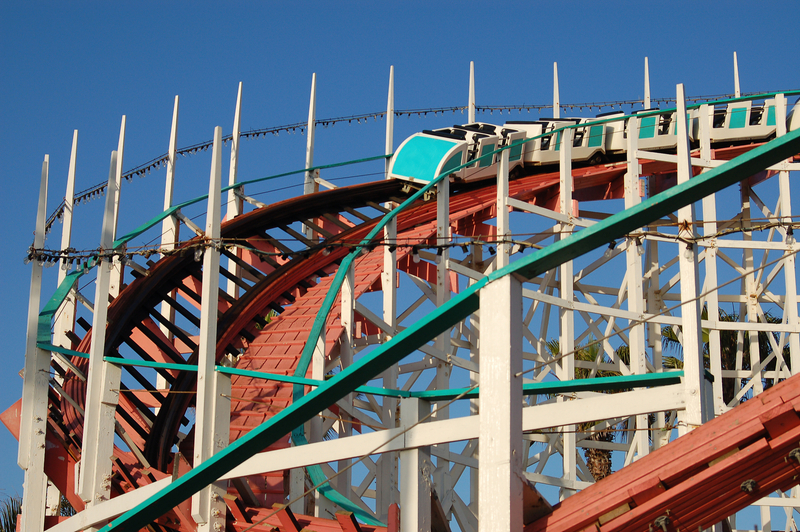 Belmont Park is a historic amusement park on the beach in Mission Bay. The park’s main attraction is the Giant Dipper Roller Coaster. Originally built in 1925, the wood coaster has views of the ocean at its peak. The park has many other carnival rides for all ages, including a carousel and train for little ones. The park also features a climbing wall, zip line, miniature golf, and laser tag. Parking and admission are free, and the rides and attractions are individually priced. Belmont Park also has several dining options. During the winter months, the park closes several attractions for maintenance. Call ahead of time to plan your visit. Belmont Park is also available for birthday parties. Admission: Free Parking and admission. Rides are priced individually. In La Jolla, the Legends Gallery features the art of Theodor Seuss Geisel, otherwise known as Dr. Seuss. Dr. Seuss has become an intricate part of many children’s lives opening the door to imagination and whimsy. The gallery is a great peek into Dr. Seuss’s art. The Flying Leatherneck Museum is located at MCAS Miramar San Diego and is a one-of-a-kind US Marines Aviation Museum. Dedicated to preserving the history and incredible contributions by Marine Corps aviators and their ground support, the museum is a unique and interesting place to explore. On the smaller side, the museum is great for kids that are interested in planes and aviation and has many aircraft on display. Volunteers are on hand to answer any questions you may have. Located on base, the museum has its own entrance for the public. In the summer months, the Aviation Museum hosts several Open Cockpit Days. During Open Cockpit Days, selected aircraft will be open for guests to sit in and imagine what it’s like to be an aviator. On select dates, former pilots discuss the planes they once flew. 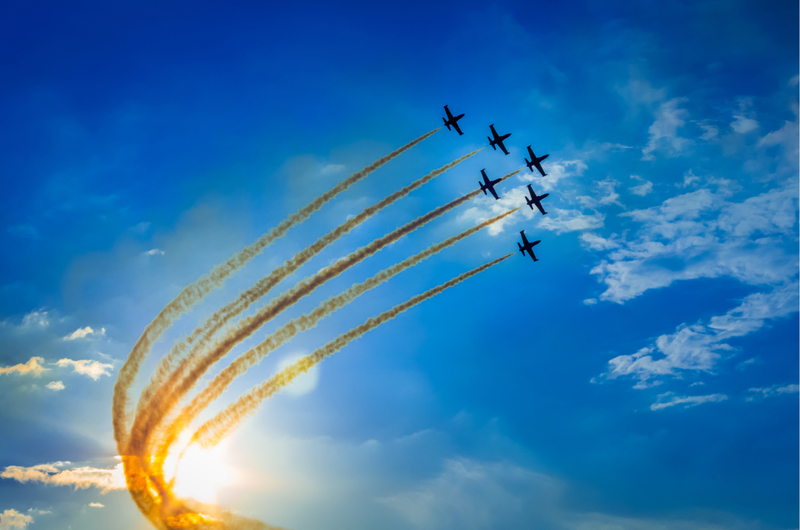 The MCAS Miramar Air Show is the largest air show in the United States. Approximately 700,000 people flock to this annual event. Not just an airshow, the 3-day festivities include musical performances, ground performances, and many displays of aeronautical acrobatics. The highlight of the show is the US Navy Flight Demonstration Squadron, otherwise known as the Blue Angels. Flying at the show since the 1940’s, the Blue Angels amaze crowds with their precision and skill. On the ground, the air show will feature a myriad of military and civilian planes.For those new to air shows, they are loud, noise-canceling headphones are very helpful for younger children. The MCAS Miramar Air Show also hosts a Student Day for grades K-12. Comic-Con International is a huge event in downtown San Diego. Drawing hundreds of thousands of people every year, the entertainment and comic convention usually sells out before most people know it’s scheduled. Fortunately, the Con has become so massive that you don’t need a badge to enjoy the festivities. San Diego Comic-Con attracts celebrities, networks, and fans from all over. The event completely takes over downtown San Diego for the time it’s here. Hotels, parks, museums are parking lots are transformed into pop-culture experiences. Families can spend the day at Comic-Con, for free, without even stepping into the convention center. Taking your kids to a ball game is an American tradition. In San Diego, Padres fans flock to Petco Park on game days. Every time the Padres have a Sunday home game, Petco opens two and a half hours early for Kids Fest. Kids Fest has inflatables, games, face painting, balloon artists and more. The early fun is a great way to get out energy before cheering on your hometown team. If you have younger kids make sure to head to guest services early to get a wristband with seat locator information (just in case they get lost). When: 2.5 hours before Sunday at home games. Admission: Included with a ticket. Presented by the Illumina Foundation, the San Diego Festival of Science and Engineering is a 10-day educational and interactive experience that encourages science, technology, engineering, and math. Expo Day kicks off the week and has events for every age, from a Pre-K area all the way to TEDx talks from the leaders of tomorrow. The event has many sponsors who provide hands-on science experiences. The week after Expo Day is filled with STEM activities throughout the County. Held at libraries, colleges, and museums, STEM week resonates across the community. Just south of the Del Mar Fairgrounds, the Free Flight Exotic Bird Sanctuary is a local gem. The cozy outdoor space is covered in trees, has a handful of picnic tables, and a koi pond. Free Flight is home to a variety of birds, many of which are being transitioned between owners. Sometimes people who adopt birds do not realize their lifespan can be from 30 to 80 years. When owners can no longer care for their companions, Free Flight shelter, feed and rehabilitate the birds until they can be adopted into a new home. Free Flight is a great place to visit with families. The birds thrive on human interaction, and kids get a chance to see these magnificent creatures up close. Volunteers are on hand to answer questions about the birds. Birdseed and fruit are also available for purchase. While the sanctuary is kid-friendly and wheelchair accessible, there are no public restrooms (good to keep in mind with younger children). Pelly’s Mini Golf Course has been a Del Mar staple for decades. In 2008, Pelly’s joined forces with Scripps Birch Aquarium and the Surfrider Organization to update the course, and make it as educational as entertaining. Pelly’s has two 18-hole courses: Ocean Adventure and Surfin’ Safari. The Ocean Adventure course features sculptures of sharks, dolphins, whales and more. With the help of the Birch Aquarium educators, each hole has facts about sea animals and conservation. The San Diego Surfrider Foundation provided information for the Surfin’ Safari side of the course, which highlights the birth of surfing, features local surf spots and has a hole that takes you through the barrel of a wave. At Pelly’s kids can have a great day on the blue turf and learn about the ocean and surf culture at the same time. Pelly’s is also available for groups, birthday parties and is ADA accessible. The sound of ocean waves is comforting and calming. As a parent, sometimes you want to visit the beach, but the reality of the sand, toys, and cleanup keeps you away. Powerhouse Park is the perfect picturesque beach location, and it’s not on the sand. Powerhouse has a large grassy lawn, walking paths, picnic tables and a playground for kids, all overlooking the beach and ocean. Kids can swing, slide and play with the sound of the waves in the air. Powerhouse Park also hosts a summer concert series. A family favorite, Fletcher Cove Beach Park (also known as Pillbox), is a great place to spend an hour, an afternoon, or the whole day. When the tide is high, the actual beach may be small, but at low tide, families can enjoy the area and walk to nearby tidepools. The park above has grassy areas, a playground with swings, picnic tables, and basketball courts. Popular at sunset, you’ll often see families gather to enjoy the last bit of the day. Leashed dogs are allowed in the park area, but not on the beach. The Coaster commuter train is a fun way to get out and explore. Kids will love looking out at the ocean as the train speeds up and down the coast. There are coaster stations from downtown San Diego all the way up to Oceanside. 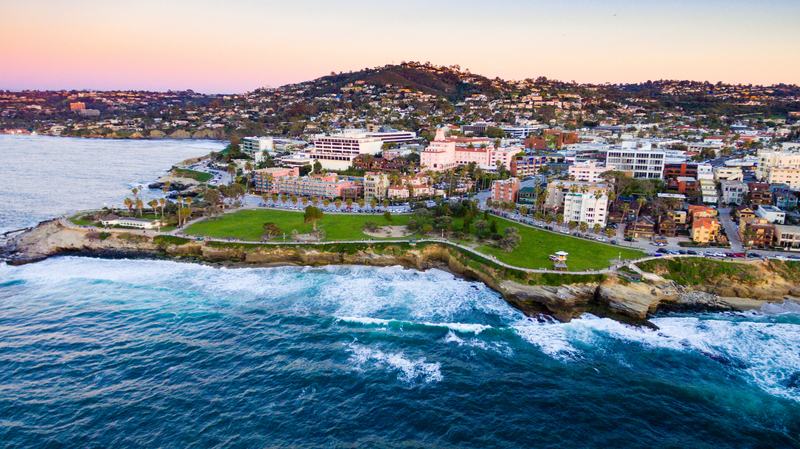 Stops are walking distance to many popular locations including the Port of San Diego, Old Town; Fletcher Cove in Solana Beach, Moonlight Beach in Encinitas; Carlsbad Village and the Oceanside Pier. Fare: $2-$12, Kids under 6 are Free! The San Elijo Lagoon is over 1, 000 Acres of Ecological Reserve land between Solana Beach, Encinitas and Rancho Santa Fe. The lagoon is home to over 1, 000 species of animals. The first Sunday of every month the San Elijo Lagoon has Family Fun Days. Family Fun Days are a wonderful way for the family to head outdoors and learn about the lagoon. At the Nature Center, kids can explore hands-on exhibits, make crafts and earn a Junior Ranger Badge. Afterwards, make sure to walk around the Nature Center Loop Trail. The mile-long trail is ADA-accessible and can be hiked at any age. San Elijo State beach has one of the most popular campgrounds in southern California. The campgrounds are hard to reserve during the summer months, but if you’re a local, there is plenty of space in the off-season. Camping is a great way to sleep by the beach, and walk to the waves for early morning surf. Kids will love spending the day by the water, and building campfires at night. If you’re less of a camper, and more of a “Glamper”, there are plenty of restaurants in the area, and you can even get pizza delivered! Leashed dogs are allowed in the campgrounds, but not on the beach. 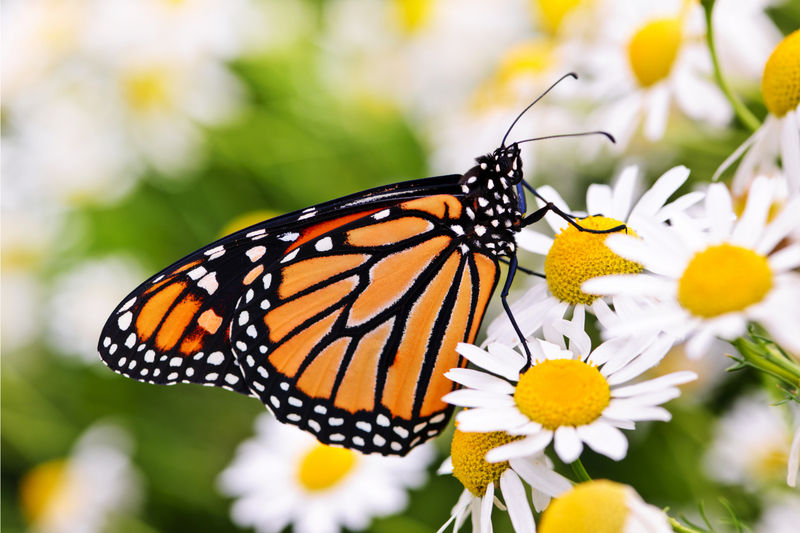 Concerned by the decline of native pollinators, Butterfly Farms was established in 2013 and is dedicated to education, research, and conservation of butterflies. The farm consists of a Vivarium (butterfly free flight house), a classroom, nursery, laboratory and event center. All these facilities help study butterfly interaction, metamorphosis, and nectar plant relationships. Butterfly Farms offer guided tours to groups and schools and are also open to the public. Docents are available to answer questions, and there are picnic tables for snacks or lunch. 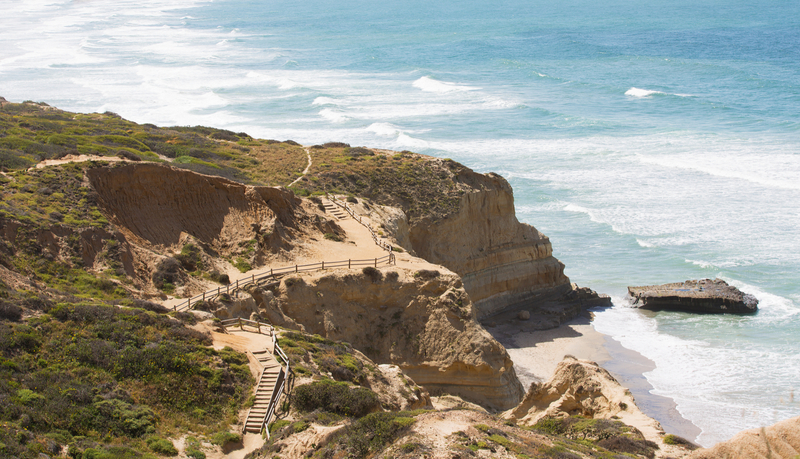 There are some great family-friendly hikes in Solana Beach. Located near San Elijo Lagoon, the Mushroom Cave Trail is great for kids of all ages. The hike is short (about 10 minutes), and mostly flat. The hike takes you to canyons which people have “decorated” over the years. It’s a quick fun trail, with lots of hidden spots. Part of the same trail system, Annie’s Canyon Trail is more of a challenge. The trail winds through the naturally eroding sandstone walls, making the journey unique and magical. With an elevation gain of 200 feet, the overlook has panoramic views of the Lagoon and the ocean. The Self Realization Fellowship Meditation Gardens are internationally renowned for the diversity of their plants and their spectacular ocean vistas. The paths wind and loop with several sitting areas and koi ponds. Children love the gardens, but be aware and courteous to people who are there to meditate. On the weekends, when the gardens are busier, is a great time to visit with kids who might be noisier. In the 1900’s people would flock to this beach for its perfect moonlight pictures. Still a local favorite, this beach is SoCal defined. A large parking lot overlooks the beach below. Facilities include a snack bar, showers, and bathrooms. For kids, there is a playground, a large flat beach area away from the water (perfect for flying kites), and volleyball courts. Moonlight is also a go-to spot for birthday parties, with several fire pits available, however, if you want to stake your claim, get there early, they are popular! The first Schoolhouse in Encinitas was built in 1883. Preserved by the Encinitas Historical Society, the public can now visit the school, which only taught 8 children its first year. The Historical Society also hosts downtown walking tours, open houses, and other events. Free to the public (donations accepted), this is a great place to show kids a little bit of history. The Heritage Ranch is home to the San Dieguito Heritage Museum. The Museum’s mission is to preserve the local history of the San Dieguito River area (Leucadia, Olivenhain, Encinitas, Cardiff, Solana Beach, Del Mar & Rancho Santa Fe). The museum has an eclectic mix of displays including the history of local surfing and the story how Birds of Paradise got to the local golf course. On the weekends the museum hosts a Families Make History Craft, and Sundays have live local music. The Heritage Ranch hosts special events throughout the year and is also available for rental. More than a museum, the Lux Art Institute has a unique residency program for internationally recognized artists. Throughout the residency, the artist will live and work at the Institute, create original pieces, teach classes and engage with the community. During that time, the Artists Pavilion is open to the public to watch the featured artists creative process. For adults, the cost is only $5 (21 and under: free, 12 and under must be accompanied by an adult). The Education Pavilion features rotating work by local artists and admission is always free. Trained Lux Liaisons are available to the general public during operating hours, and can also be reserved for larger groups. The artist-in-residence, along with local artists teach several programs for kids ages 4 and up. Kids classes take place over a 4-week session. The program taught by local artists focuses on different art techniques and is available both for young children and for teens. The program taught by the Artist-In-Residence (ages 5-12), immerses the class in the style and method of the featured artist. Teens in grades 8-12 can also become part of the Teen Collective. Twelve students will be accepted to spend a semester developing their own point of view and will end the session with two portfolio pieces. Open studio is available for teens 16 and up and doesn’t require registration. Lux also offers camps and is available for school groups. Encinitas Community Park is on 44 acres of land just west of I-5. The park consists of multipurpose fields, a dog park, skate park, walking paths, a children’s play area, and several picnic areas scattered throughout. Restrooms available. Beer and wine allowed. Known locally as Poods, the highlight of the park is the 13,000 sq ft skate plaza. Poods is a local favorite and draws skater from near and far. The Sugar Sweet Farm is a Family Run Organic Hobby Farm in Encinitas. The Sugarman family grows organic fruits and raises livestock. For years the family has been opening its doors to school groups and has offered kids camps, but now you can arrange private family visits. The private farm tour includes an hour barnyard animal visit where you meet rabbits, pigs, goats, a Llama and more. You can even add Horseback Riding to the visit for an additional fee. Also available for kids parties! Tourists and locals flock to the Mount Woodson trail just to take a picture on Potato Chip Rock. The thin rock seems to defy gravity, and even though it’s only about 20 feet above the ground, the right camera angle can make it seem like you’re death-defying. Besides the great pictures, the summit also offers great views. The main trail begins at Lake Poway and is almost 7 miles long. There is an alternate route from the southeast, that is only about half that long, and has more shade. The trailhead is on CA-67 just south of the fire station. The climb is fairly steep with 1220 feet elevation gain and is on paved road. Take plenty of water, especially during the summer months. Leashed dogs welcome. The Poway Trail Riding Company believes that every horse experience should be memorable and enjoyable. The company offers much more than your typical trail rides, including a unique after school program for kids in Kindergarten-High School. The After School at the Ranch program provides a safe space where kids can participate in a variety of ranch and equestrian activities, as well as get help with their school work. Participants will learn safety, horsemanship and how to handle and care for horses both on the ground and in the saddle. Additionally, kids will also learn about ranch maintenance, gardening, cooking and enjoy games and trail rides. Transportation is available if your child is part of the Poway Unified School District or attends any of the Scripps Ranch Schools. The Poway Trail Riding Company also offers Trail Rides, Camps, Hands-On Horse Experiences and Birthday Party Packages. Tired of the playground? Climbing is a great indoor alternative for whole family to enjoy an athletic and fun afternoon together! Vertical Hold has three climbing gyms in San Diego County. One in Poway, another in San Marcos, and one in San Diego proper. Climbing teaches patience, endurance, critical thinking and boots confidence. Vertical Hold is also available for birthday parties and scout groups. Old Poway Park has the feel of a quaint little town that time forgot. Visitors are transported back to the early Twentieth Century when they wander the grounds. The park has its own 1907 Baldwin No. 3 Steam Locomotive that circles the grounds (currently under repair). There are also a Trolley and Cable Car that you can ride for a small fee. The park is home to the Heritage Museum and the Nelson House. The Heritage Museum has graphics and exhibits that trace major phases of Poway’s history. On Saturday mornings the park hosts a Farmer’s Market from 8am-1pm. The Blue Sky Ecological Reserve is a 700-acre canyon filled with Oak trees and various wildlife. The reserve has many hiking trails that are open to the public during daylight hours. Docents are on-hand to answer any questions about the area. Blue Sky also offers a variety of programs for kids during the year and is available for school groups and scout groups. 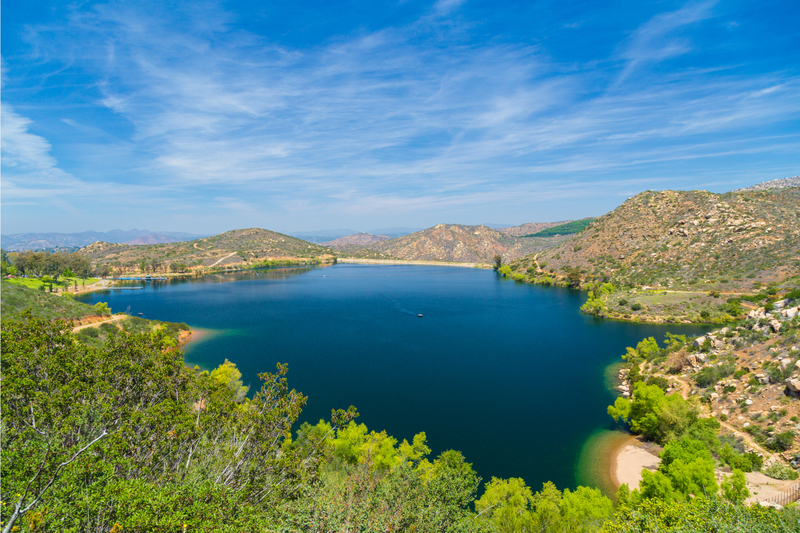 One of the best lakes in North County, Lake Poway is the go-to place for many locals. Not only does the lake offer boat rentals and fishing, the park itself is green and shaded, with loads of trails, picnic areas, an archery range, and playgrounds. Lake Poway has many fishing options including shoreline, dock or boat. The lake is stocked with Bass, Bluegill, Catfish, Sunfish and Trout. The Concessions Stand also sells everything from bait to equipment. California State Licenses are not required to fish on the lake, however you must purchase a permit. Fees are $3 Youth (8-15), $7 Adult, $3 Senior and $4 for Military (with ID). There are also options for 10 day permits. Lake Poway also offers Trout Fishing Seminars and hosts a Kids Fishing Derby Annually. Open 7 days a week the Entry Station charges a $10 parking fee for all non-Poway residents on weekends and holidays. Beer and wine permitted (no glass). Leashed dogs permitted (100 ft away from shoreline). Ice Skating is not only a great source of exercise, it’s entertaining and fun! If your kids don’t know how to skate yet, Poway Ice offers a 7-week Learn to Skate program for all ages and ability levels. During the program, kids will meet new friends while building ice-confidence and learning sportsmanship. Younger children (ages 3-6) can take the Snowplow Sam or Parent and Me class. Youth Classes (ages 7-15) include Basic Figure Skating, Hockey or Freestyle. If the whole family is learning to skate, Poway Ice also offers adult classes. Group classes include admission and skate rental on the day your class is scheduled, as well as an additional public skating pass per week. On the last day of class you can even bring a friend! Poway Ice also has a Youth Hockey League, is open for Public Skating and is available for birthday parties. Bowling is always a safe family bet. Poway Fun Bowl is family-owned and has 32 lanes, an arcade, pool tables, and a friendly staff. Older kids looking for something to do on the weekend should check out Cosmic Bowling at Poway Fun Bowl. On Friday and Saturday Nights at 9:30 pm Poway Fun Bowl turns the lights down and the music up. Neon lights make the alley glow and videos play on the TV screens. Cosmic Bowl is $19 per person and includes 3 hours of bowling and shoes. Poway Fun Bowl is also available for birthday parties. DeLeon Dynamics is a specialized gym that focuses on Aerial, Parkour, Cirque, and Movement. For Aerial training (7 years and older) the gym is set up for all types of aerial equipment, including Silks, Lyra, hammocks, Static Trapeze, Aerial Cube and more! DeLeon’s Parkour and Urban Ninja Program (6 years and older) includes skills you’d need to be an American Ninja Warrior. The area includes a bars course, finger-hold ledges, traveling wall, incline walls, Chinese poles, vault boxes and more. Younger children can enjoy Pre-K Parkour & Cirque or Flying & Floor FUNdamentals. DeLeon also has open gym, camps, Parents Night Out and is available for birthday parties. For over 40 years Helen Woodward Animal Center has been committed to the philosophy that people help animals, and animals help people. The no-kill facility provides a variety of services to the community which includes many programs geared towards children. The center offers many kids camps throughout the year. In the You Can Be A Veterinarian Camp, kids have the rare opportunity to practice veterinary skills, interact with animals, and gain experience with equipment. Vet Camps are offered as a Surgical Camp or Internal Medicine Camp. Children ages 2-4 can participate in the Mommy and Me class – First Furiends. Children will learn about animal communication, safety around animals, therapy animals and more through songs, play and animal interaction. Helen Woodward also has a DogSmart program which teaches people of all ages how to safely interact with dogs in a variety of settings. Not only will children learn the proper and safe way to meet a new dog, they will learn the basics of dog behavior and how to handle encounters with stray or aggressive dogs. The Center hosts several family-friendly events throughout the year including a 5K and a Holiday Festival. Helen Woodward is also available for birthday parties and scout groups. Baconluxious. Ravishing Rocky Road. Cheeky Cheeky Churro. These are only some of the names of the delicious chocolate creations by Chef Michael Antonorsi, who helped found Chuao Chocolatier. Chuao (chew-ow) started in Encinitas about 15 years ago and has now expanded nationwide. Take a step behind the magic, and see how the “joy” is made. The Chuao Chocolatier Factory is located in Carlsbad, CA and opens its doors for factory tours on Wednesdays and Fridays. Kids over 10 years can discover the hard work, dedication, and process that goes into each chocolate bar. The tour even includes a taste of the delicious confections! (Closed-toed flat footwear required). Opening up to the ocean, Batiquitos Lagoon is a coastal wetland that separates Encinitas and Oceanside. One of the few remaining tidal wetlands in southern California, the area is a nature preserve and designated Marine Protected area. The north side of the lagoon has a 2-mile walking trail with multiple public parking lots. Open from dawn to dusk, 7 days a week, the trails are wide and flat. Feel free to bring a stroller and your dog (leashed). The Museum of Making Music is fun, educational and interactive. The exhibits are hands-on and inspire visitors to unfold the history of musical instruments, and the products used to bring those instruments to stage, radio and recordings. The museum not only hosts permanent and special exhibits, it also has a regular concert series. If you don’t live in the area, the Leo-Carrillo Historic Ranch is not very well known. The Ranch sits on 27 acres and has adobe buildings, beautiful landscape, and peacocks! Families love roaming the gardens and finding peacocks on the trails, near the buildings and sometimes even on the roofs! The former working ranch was owned by Leo Carrillo, who is known for playing Pancho, the sidekick to the Cisco Kid. Leo Carrillo spent his life as a preservationist and conservationist and served on the California Beach and Parks Commission for many years. Open to the public, the ranch is a great place to spend the afternoon, take a stroll, and have a picnic. Throughout the year the ranch also hosts many family-friendly community events, including a Wild West Fest, and a Holiday Celebration. The California History and Art program teaches the history of the ranch through art and education and is offered free of charge to Carlsbad schools. The Agua Hedionda Lagoon is a 400-acre estuary and wetland in Carlsbad. The Lagoon’s Discovery Center has several exhibits which include the history of the area, the history of the Luiseno Tribe, a Native Plant Garden, and an interactive Reptile Room. The Discovery center hosts Kids Kamps throughout the summer and is available for birthday parties, events, and scout groups. The Kids Klub, is an annual membership for kids ages 4-12. The membership includes monthly meetings with storytelling, animal interactions, and crafts. Members also receive an It’s Magic color changing t-shirt, entry to the Leprechaun Dash and Bash, and more. While the kids enjoy the monthly meetings, parents can do yoga in the room next door. If you have a child that is interested in model building, the Miniature Engineering Craftsmanship Museum features hundreds of small and miniature metalworking projects. Geared towards adults the museum is more suited for older kids, but all of the intricate work will inspire people of all ages. The museum features models of cars, planes, small working machines and engines, clocks and more. Also available for groups. 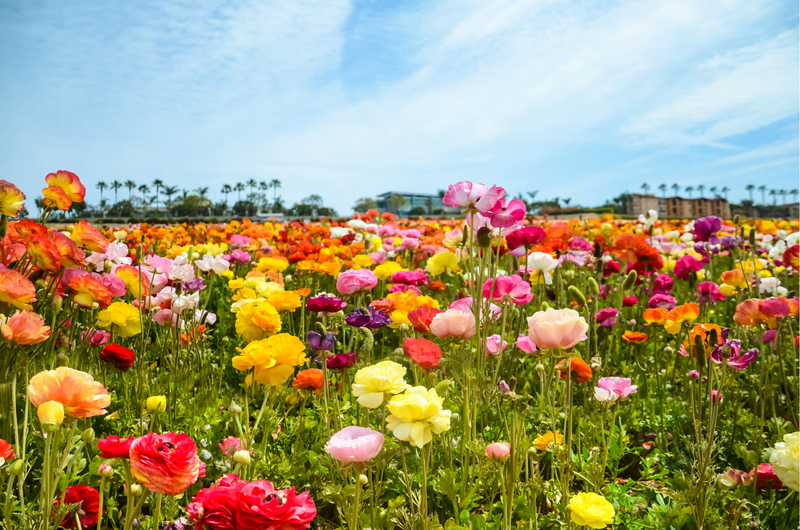 Every year Spring bursts to life at the Flower Fields in Carlsbad. With over 50 acres of Giant Tecolote Ranunculus flowers, the fields are vibrant. The bloom only lasts for about six to eight weeks, from early March to early May. For kids, Flower Fields feature a sweet pea maze, antique tractor rides, artist gardens, Santa’s playground and more. The Flower Fields offers programs for school groups and Scout Groups. Kids Day Dates: March 24 & 25, 2018 Family Days at the Flower Fields are a great way to celebrate the season. Saturday includes woodworking with the Children’s Workshop, drumming, bubble making, a bounce house and more. Sunday will have Ronald McDonald, Star Kids Theater, ballooning and face painting. Go-Kart racing is always a great time for families. K-1 Speed is an indoor racetrack that has both junior and adult Karts (Junior drivers must be 48” tall, Adult drivers must be 58” tall). Races include at least 12 laps around the track for $20. Race against the clock, or against each other, each session lasts about 10 minutes and can include up to 12 drivers. K1 Speed is also available for birthday parties. San Diego artist Roman de Salvo and composer Joseph Waters collaborated to create a musical bridge in San Diego. The bridge is located on 25th Street above State Route 94. The bridge’s railing contains 488 brass chimes that play a song composed by Walters. The song is a palindrome and plays the same whether pedestrians are walking north or south. Crab Carillon is a unique little wonder in San Diego. Next time you’re in the area with kids, makes sure to bring a stick to play the music as you cross. Ice skating is a fun way to get exercise, improve balance and coordination. Icetown has open skate available to the public every day. IceTown also offers lessons for first-time skaters, figure skaters, and hockey. IceTown coaches follow a model to ensure that kids learn quickly. The rink also offers camps and is available for birthday parties and scout groups. The “Learn to Play Hockey” program at Icetown is open for children ages 4 and up. The program teaches the basics in a fun, positive environment. No experience is necessary and students 6 years and older will be ready to graduate to their first team in 4-6 weeks. The Carlsbad Lagoon is a great place to spend the day with family. Filled with many water sport options, the lagoon has something for everyone. Motorized rentals include Yamaha WaveRunners, boat rentals, and Wakeboarding and Waterskiing (includes boat with driver). If you want a little slower speed the lagoon rents kayaks, stand up paddle boards, canoes, paddle boats and aqua cycles. In the summer months the Carlsbad Lagoon hosts a summer youth camp called H20 Extreme. The Alga Norte Aquatic Center is located in Alga Norte Community Park. The facility has two warm water pools, spa, a splash pad and a snack bar. Small children can learn how to swim with lessons, older children can train with Junior Lifeguards and eventually train to become a swim instructor or Lifeguard. If you’re just looking for a day by the pool, Alga is great for families with kids of all ages. The Splash Pad is perfect for toddlers. The instruction pool is shallow and has stairs, so it’s great for new swimmers and for swimmers that want to play, and brave kids can take a swim test to be able to dive off the high dive. Alga also has cabanas available for rent and has a full snack bar. During the summer month, Alga Norte also hosts special events, including movie nights, inflatables and themed days. Available for birthday parties. Alga Norte Community Park also has a skatepark, playground, dog park and picnic areas. Go camping by the beach! During the summer months, the South Carlsbad State Beach is extremely popular. However, locals have the opportunity to use the campgrounds in the off-season with great ease. Perfect for a weekend, or weekday when the kids have off, you can rent a space for even just one night. The campsite features RV Sites with hookups, RV Dump Station, RV Access, Camp Store, Restrooms, and Showers. The Carlsbad Tide Pools are an amazing look at what lies just below the surface of the water. Located on Carlsbad Drive and Cerezo Drive, the tide pools are down the stairs and up the beach about a hundred feet. Algae covered rocks house many species of sea life including sea anemones, starfish, and snails. A fun family outing, make sure to check for low tide before your visit. Built in the 1800’s, the Mission San Luis Rey is an Oceanside treasure. Known as the King of the Missions, San Luis Rey is the largest mission in California. Seeped in history, the grounds are peaceful and a wonderful place to visit any time of year. Mission San Luis Rey offers classes for school groups. In October, the mission comes to life with the annual Dia De Los Muertos celebration. Every year over 40,000 people attend this celebration that remembers departed family and friends. The event is free and features traditional altars, latin music, a chalk cemetery, entertainment and cultural festivities for the whole family. Children can learn the history and significance of Dia de los Muertos, all while enjoying music, dance, arts and crafts. Surf culture is celebrated at Oceanside’s California Surf Museum. Exhibits include a Brief History of Surfboards, Surfing Found in Pop Culture, and educational displays about the ocean. For kids, the California Surf Museum’s most popular exhibit is a must-see. Courageous Inspiration: Bethany Hamilton, tells the story of how Bethany survived a shark attack, that resulted in the loss of one of her arms, at the age of 13. The display includes her bathing suit and the board she was riding with a very big chunk bitten out of it. Her story is especially resonating because instead of leaving the sport, Bethany was determined to return to surfing and paddled out just 3 weeks after the attack. Since then Bethany has returned to competitive surfing and is an excellent role model for kids, teaching them to never give up on dreams, no matter what the challenge. The California Surf Museum is also available for school groups and educational tours, and the First Tuesday of every month admission is only $1. With a view of the Oceanside Pier and the Pacific Ocean, the Oceanside Museum of Art celebrates art through engagement, education, and innovation. Exposing children to art has many positive effects and promotes self-expression and logical thinking. The museum hosts revolving contemporary art exhibits, classes, lectures, concerts, camps, docent tours and community events. Hours: Tuesday, Wednesday, Saturday: 11am-5pm; Thursday & Friday: 11am-8pm; Sunday 12pm-5pm; Closed on major holidays. The North County Children’s Choir is a free choir for students in Second to 8th Grades. In response to so many schools cutting back on music programs, Coastal Music Studios started the choir as a way to give back to the community. Their goal is to provide a fun and positive environment that encourages children to explore their creative potential. The choir meets for rehearsal once a week and has two major performances a year. Registration for the Spring Season opens in January. Play Paintball on real military bases! Learn strategy, work in teams and develop communication skills. The Paintball Park has two locations in San Diego County, Miramar, and Camp Pendleton. Both parks offer Paintball, or Paintball Lite, designed for kids 8-12. A non-paint option is the Airsoft Park, which uses small plastic BB’s that aren’t as hard-hitting as paintballs. Both parks have several courses to choose from, each featuring actual military vehicles on course. Camp Pendleton also has Splatmaster available for kids 6-10, that uses guns with half the power, smaller (non-painful) ammo, and the paint is 100% water soluble.The Paintball Parks are open on the weekends, and available for private parties (15+) seven days a week. Located on military bases, identification and a submission form (7 days in advance) are required to enter. Also available for birthday parties and camps. Take the kids for a hike around a pond at Guajome Community Park. The park has 4.5 miles of trails that wind around two separate ponds. The ponds are filled with wildlife and are great for fishing. Guajome is also a historical site, the park houses a historic adobe ranch house built in the 1850’s. Guajome also has picnic areas, playgrounds, and a campground. The Campground has cabins and partial hookups. Parking is $3. There’s something about trains that captivates children. Located at Heritage Park, the North County Model Railroad Society has set up a track just for kids. The Trains for Kids layout is open to the public and available on Saturdays from 10am-3pm. Kids of all ages are welcome. Do you have kids obsessed with Superheroes? At iFly Oceanside, kids ages 3 and older can actually fly! Enter the vertical tunnel and experience bodyflight, with instructors leading you every step of the way. Each iFly session is the equivalent of 1.5 skydives, includes all flight-gear, pre-flight training, flight certificate, souvenir video, and photo. Available for birthday parties and school groups. 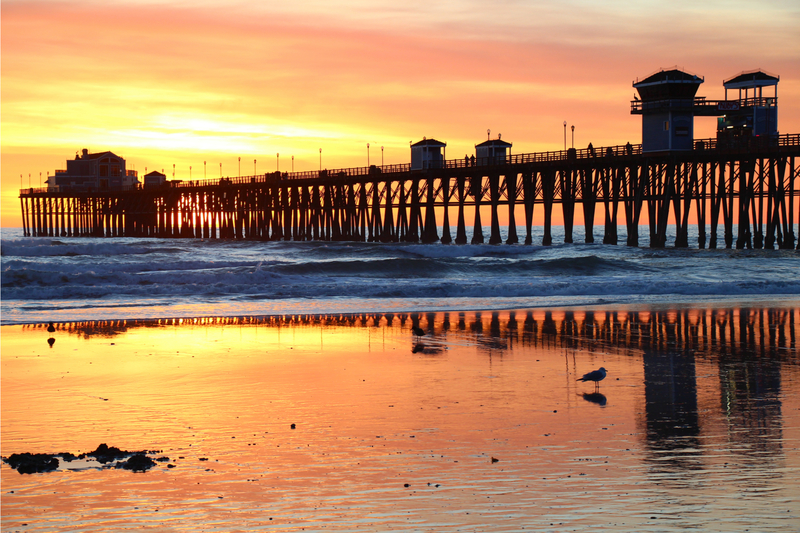 One of the longest wooden piers in California, the Oceanside Pier is always buzzing with people. Popular with locals and tourists there are many ways to spend your day at the pier. At the entrance is the amphitheater, which hosts musical performances and movies. At the end is Ruby’s Diner. A 50’s themed diner, Ruby’s serves burgers and milkshakes with an epic view. Along the pier, people line up with fishing poles to catch what’s below. As you walk along you’ll see Pelicans, Seagulls, and surfers trying to catch waves. The pier has light posts, so it’s a perfect place to catch the sunset. The beach south of the pier is one of the most popular in North County. The kid’s playground on the sand is always full, and at sunset, you can see the fire pits start to glow. The beach also has picnic tables and BBQs, which make it easy to spend the day. The Escondido Center for the Arts is the heart of Escondido. Performers and musicians from all over the world come to the center each year. From September through June, the Center of the Arts hosts a free concert every first Wednesday of the month. The concerts are a great way to expose kids to different genres of music. The concerts are first come, first serve, but you can also reserve tickets for $12 beforehand if you want to ensure a seat. Each performance has two showtimes 4pm and 7pm, with a different Food Truck featured each month. The Center also partners with the community during the year for special events. The Escondido Center for the Arts is adjacent to Grape Day Park. Established in the 1930’s the park is a registered landmark. The park is a community hub and is the location for many gatherings throughout the year. The park also features several historical sites including a Santa Fe Railroad Depot, buildings and a blacksmith shop. Kids love bugs. Somehow, they find the creepy crawlies fun, mysterious and intriguing. If you have a kid that loves bugs, Bill the Bug Guy is for you. Bill Burkhardt is a docent at the Elfin Forest Recreational Reserve and has been fascinated by bugs since he was a child. That curiosity led him to a Masters Degree in Entomology. Every month Bill offers a bug presentation with slideshow, microscopes, and answers to all your insect-related questions. Geared towards children 4 and older, the program runs from 10am-11:30am. The Elfin Forest Recreational Reserve also has 11 miles of trail for hiking, biking, and Equestrian use. Hours: Daily: 8am-Half Hour before Sunset, Closed on Christmas Day and Rainy Days. Archaeology studies human culture by recovering artifacts and trying to understand what they were used for. The San Diego Archaeological Center focuses on regional artifacts to tell the history of the people of San Diego and find common ground in our humanity. The exhibits feature tools dating back 10,000 years. For kids, the Center has several interactive exhibits. The Archaeology Quest is a sort of scavenger hunt that keeps kids engaged throughout the space. Shipwreck: Underwater Excavation, teaches underwater artifact classification and analysis. Other exhibits show how pottery is reconstructed and demonstrate the similarities between ancient and modern tools. The Center has School Programs and Scout Badge Programs available. Let your family run away to the circus with Trapeze High, North County’s only flying trapeze school. Children ages 7 and older can learn to fly through the sky. Trapeze is a great bonding experience and fun! Beginner lessons include safety guidelines, ground school, basic swing techniques, trick positions and dismounts. If you’re a bit more adventurous you can join experienced flyers and learn more challenging tricks. In the summer, Family Camps include a plethora of experiences, including the Extreme Air Bag which simulates falling into water, letting the flyer focus on tricks instead of technique. If you have kids that are into dinosaurs, the Roynan Museum of Earth Science and Paleontology is an excellent destination. The museum has thousands of specimens, fossils, meteors and more. Originally only open to school groups, scouts and community groups, the museum has recently opened its doors to the general public. Docents are on hand to answer questions and explain the sequence of evolution from the Precambrian era. The museum also focuses on the physical events in earth’s history such as climate change, volcanism, plate tectonics and mass extinction. The museum is also available for birthday parties, school field trips, and scouts. Felicita County Park is nestled on 53 acres of dense Oak groves with hiking trails and streams winding throughout. The woodsy setting and several large boulders make the park very serene. Felicita is also the site of one of the largest and oldest Native American Villages in the county. Grinding holes and other artifacts can be found as evidence of the centuries-old Northern Diegueno Tribe.The park also includes 2 horseshoe pits, picnic tables, BBQs, 4 playgrounds, restrooms, and a volleyball court. Leashed dogs allowed. The Ecovivarium is a living museum that features reptiles, amphibians, and arthropods. Each visit includes several hands-on experiences with the animal ambassadors. Over 98% of the animals at the Ecovivarium are rescues that have been rehabilitated and trained by the dedicated staff. These ambassadors are integrated into the program, which aims to promote science, by connecting it physically to the environment, which inspires curiosity. The lead staff at the Ecovivarium are also trained to work with Kids-At-Risk and Kids with Special Needs. The museum is also available for Education Programs and Birthday Parties. 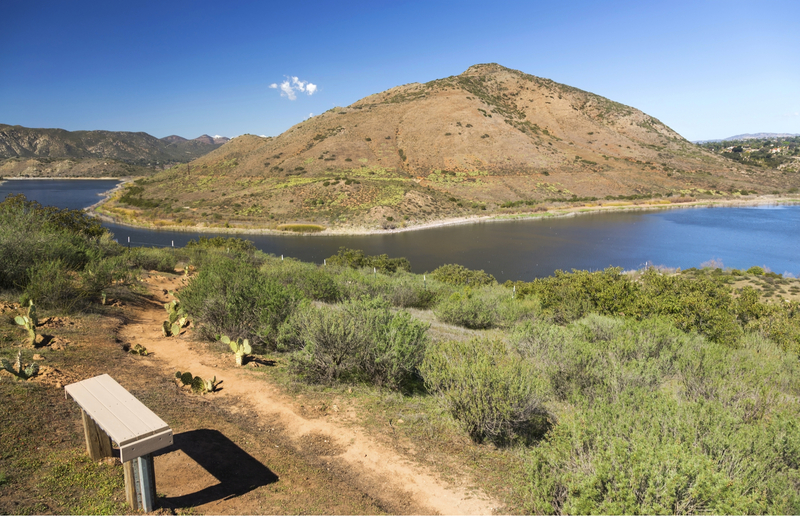 Lake Hodges Reservoir was created in 1918 when the Hodges Dam was built on the San Dieguito Creek. Since then, the reservoir has become the home to many outdoor family activities. At the reservoir you can go boating, fishing, hiking or just spend an afternoon having a picnic by the water. Lake Hodges fishing season runs from February through October. Patrons can fish from boats, float tubes (with chest waders, personal flotation device, and horn or whistle), use waders or fish from shore, there is also a wheelchair accessible fishing float available. Permits can be purchased at the Concession Stand, the electronic pay station, or the iron ranger box (by envelope). All anglers 16 years and older must have a California State Fishing License. Hiking and riding trails at the reservoir follow a 7-mile primary route along the water. The trail terrain is varied and includes streams, lush valleys, oak forests, rocky spots and open fields. More information on the trails can be found on the San Dieguito River Park website. The recreation area at Lake Hodges has six BBQs and twelve picnic areas. There is a Visitor Center near the boat launch that has restrooms, and a dock to fish off of. There aren’t any water fountains so make sure to bring your own. Ground fire, glass containers, and camping are not allowed in the picnic areas, self-contained gas BBQs are ok. Keep dogs and little ones near – snake warnings are posted everywhere. Lake Hodges is open for fishing and boating on Wednesday, Saturday, and Sundays (half hour before sunrise to sunset). On those days, the Rocky Mountain Recreation Company rents rowboats, motorboats, single and double person kayaks. Private boats, including kayaks, canoes, sailboats, and float tubes are allowed all three days. Open from February to October 31, call ahead to make sure they’re open 760-432-2023. Leashed dogs allowed (away from water). Alcohol permitted (no glass). A hidden gem, Discovery Lake is nestled in a quiet residential area. The 5-acre lake has a paved 0.8-mile loop around it. This easy trail allows people to walk, run, bike, scooter, or even ride horseback! One half of the trail is shaded by trees, and the other is in full sun. Smaller kids will love to see the ducks and coots from the dock afterward. Fishing is also allowed from the dock or the water’s edge. If you have older kids that are up for a challenge, there are several other trails that stem from the lake, including one that goes all the way to the top of Double Peak! Lakeview Park is located right next to the lake and has a gazebo, splash pad, and a newly remodeled play structure. The park is quaint but has nice grassy and shaded areas. Conveniently, bathrooms can be found next to the parking area. Leashed dogs are permitted and there are doggie stations if needed. Discovery lake is a great place to spend the day for a lovely walk or picnic. It’s easy to forget that you’re in the middle of the city when visiting this scenic location. So many kids love to play dress up and pretend. The historic Wood House provides the perfect settings with its Fantasy Tea Parties. Aimed at ages 4-12 years old, the tea parties are great for Girl Scout groups, playgroups, and birthday parties! The parties are typically 2 hours long and include Painting teacups, baking scones, games, and tea (apple juice). Guests are encouraged to dress up and the Wood House has fun hats and feather boas to add to the occasion. Kids will also have fun making a take-home craft. The Wood House Fantasy Tea Party brings the magic to life and is a fun and unique way to spend an afternoon with friends. Located on San Marcos Boulevard, Bowlero has taken the local bowling alley and updated it completely. The whole place vibrates with a fun, lively atmosphere. Bowlero has 40 glow-in-the-dark lanes, video walls, and an arcade. Prices vary, but after school offers the most reasonable rates. For teens, there are many lane specials after 8pm. Bowlero is also available for birthday parties. 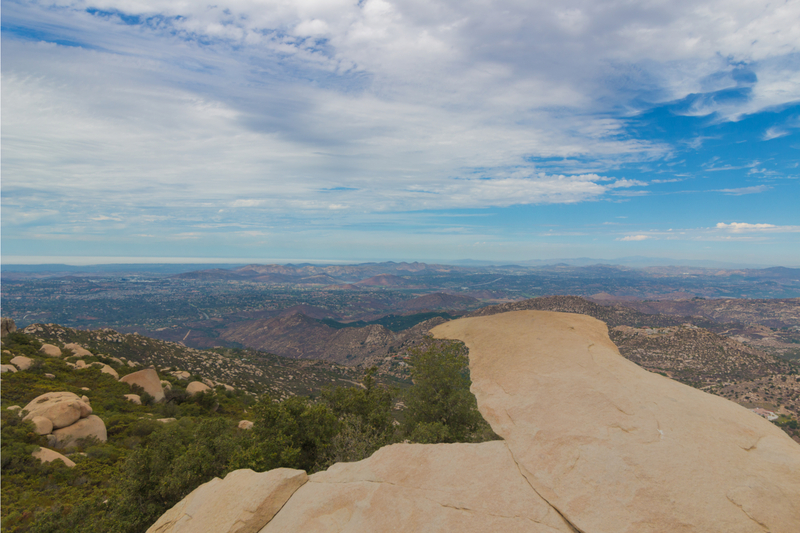 Double Peak Park sits on the highest peak in North County and has 360º views of north county. Kids will love being able to see from the ocean to the mountains, the summit even has a permanent telescope to help see farther. Double Peak also has a small playground with climbing rocks and ropes. The park is a great place to have a picnic and is also a trailhead for the area. Lake San Marcos is a small neighborhood lake just south of San Marcos High School. A lake is a great place for families to spend the day together. Boating, Fishing, or Paddleboarding, there are many options for different ages. The Marina at the Lakehouse Hotel and Resort is open to the public and rents out a variety of boats. From small fishing boats to Pontoon boats and for the ultimate luxury, the Bennington, which comes with a captain. For active families, the Marina has Water Trikes, double and single kayaks, and Stand Up Paddle Boards. For families that prefer to stay on land, you can rent a pole and fish from the dock, or feed the ducks (duck food is a quarter). Held once a year, Super STEM Saturday at CSUSM is the first event in the San Diego Festival of Science and Engineering. The event takes over the San Marcos Campus and includes over 100 interactive demonstrations. Kids can build rockets and robots, have animal encounters or become a DNA detective. This free event is designed for kids to have fun and engage with science, technology, engineering, and math. Food is available on campus, but if you have younger children make sure to pack snacks! The Alta Vista Botanical Gardens are almost hidden in the northeast corner of Brengle Terrace Park. 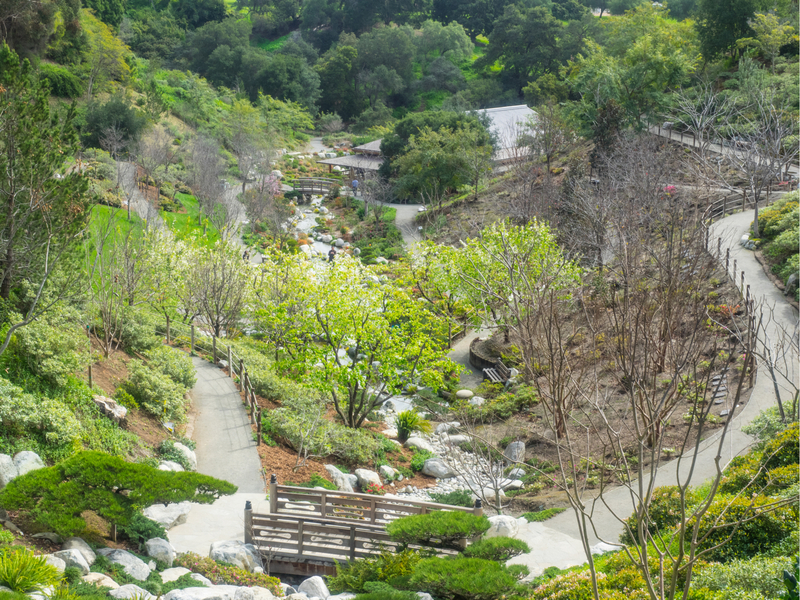 A great community resource, the inland garden highlights the natural beauty of Vista, through the landscape, education, and art. The grounds include a children’s garden with instruments, a human sundial, various sculptures, and a labyrinth. The Children’s Garden is also available for Birthday Parties. Join the gardens the second Saturday of every month, for Kids in the Garden. The Kids in the Garden program teaches kids about the environment and gardening. Every class has a different focus and can include music, crafts, hands-on learning, tours of the gardens and more. The classes also coincide with seasonal garden festivals that include kids activities, vendors, and plant sales. Admission: $5/Adults, $3/Children 3-12 years, Yearly membership also available. Located in Brengle Terrace Park, Moonlight Amphitheater is an ideal venue for families to attend. The outdoor stage has several seating options, including grassy areas perfect for a picnic. Moonlight hosts a variety of events throughout the year including Symphonies, Musicals, Bands, Family Movie Nights and more. The Amphitheater is a wonderful way to introduce children to the arts, the outdoor environment means that families with kids of all ages can relax and enjoy. Tempest Freerunning Academy celebrates freedom of movement, at their world-renowned Freerunning and Parkour Training Facility. While Parkour and Freerunning may seem similar, Parkour is about getting from Point A to Point B in the most efficient way, while Freerunning is moving between points with style. What really sets Tempest apart is their colorful and fun themed environments. Kids will feel like they’re in a video game as they run and jump through the facility. Tempest offers a variety of classes for kids of all ages and skill level. Tempest also has open gym times and is available for birthday parties. The Antique Gas and Steam Museum is a unique Vista destination. On over 55 acres, the museum was founded in 1976, and has a collection that focuses on early American life and technology. The main exhibit includes a wide array of machines and vehicles that are located throughout the grounds. Another popular exhibit is the Farmhouse and Parlor that represent what life was like at the turn of the century. The museum is a parent organization to several other groups including Vista Forge (part of the California Blacksmith Association), N’ Scale Short Track Railroad, Palomar Handweavers, and the West Coast Clock & Watch Museum. On Saturdays, the public can watch various demonstrations from each of these groups. Set up in the Section House, the N’ Scale Short Track Railroad has three layouts set up for the public to view. The Young and Victorious track was built specifically to be run by kids. Make sure to stop by on Saturdays from 9am-1pm for their Open House. The STRR is also available for Scout Groups and has Certified Merit Badge Counselors for Boy Scouts Groups. On Saturdays kids can visit the Weavers Barn which houses over 50 looms, spinning wheels and other tools needed to turn fiber into cloth. During that time, volunteers craft, and share their knowledge with the community. The Blacksmith Barn located in Building G, has over 15 forging stations. On Saturdays you can see live Blacksmith demonstrations. The Blacksmith Barn also offers a Blacksmithing 101 Youth Class. Minors (ages 10-17) may enroll in the class with an adult. Together the pair will learn the basics of the trade. The program starts with the Coal Forge, students will learn to light and and use it to heat the metal. Next, tools will be introduced to forge, twist and bend metal into shapes. Students will work on three projects during the program, including making their first set of Blacksmith tongs. On Saturdays, Docents are available to answer any questions about the exhibit. Admission: $5/Adults; $4/Seniors (65 and over); $3/Children (Ages 6-12); Under 6 Free; Memberships also available. The Wave Waterpark is open during May-September. Popular with North County residents, the waterpark has lots of amenities for kids during the summer months. Not only does the Wave have several attractions, they also host camps, classes, night events and more. The Wave is also available for scout groups and birthday parties. Kids over 42” can experience everything the Wave has to offer, including the Flow Rider “wave” that sits in the middle of the park and all of the water slides. Younger kids can enjoy the lazy river and the competition pool. In the front of the park there is a play structure with fountains for the littlest guests. The Wave offers several specialized programs that are unique. Learn to ride the Flow Rider, get introduced to Water Polo, train as a babysitter, or even become a Mermaid! All of these things are available at the Wave. Flow Rider Classes are for beginners that want to learn to surf the simulated wave, or for more advanced riders who are training for the Flow Rider Competition. The Wave Water Polo classes are a great way to get introduced to the sport. For beginners, this class will teach the rules of the game and basic techniques. Participants must be at least 7 years old and be able to swim 100 yards without stopping and tread water without hands for 1 solid minute. The Mermaid Program creates unique and magical memories for young kids. Meet a real mermaid and learn how to swim with a tail (monofin). Individual classes are held before the park opens, and participants will receive a certificate of completion at the end. The mermaid program is also available for large groups, and as an add-on to birthday party or badge programs. The Blast Program is a wonderful resource for new babysitters and offers extensive training in first aid, household safety, and childcare fundamentals. Aside from safety, the class also prepares kids for interviews and reviews which games and activities are appropriate for babysitting. Cinépolis Junior has created a one-of-a-kind movie theater, with kids in mind. The theater is bright and colorful and has a huge play structure along the side. For safety reasons, kids are not allowed to play in the dark, but the theater opens the doors 20 minutes early to allow plenty of time to explore. For younger children, there is a small play space in front of the screen. Halfway through the showing, the theater turns on the lights for a 15-minute intermission. Kids can play, get snacks, or visit the bathroom without missing the movie! The Junior Theater has reserved seating and parents can choose from rocking seats, lounge chairs, or double bean bags. The theater shows Rated G and PG movies seven days a week and is an affordable and fun activity for the whole family. Boomers is a Family Fun Park that has miniature golf, go-karts, batting cages and more. Well loved over the years, Boomers is a little worn but is still a fun place to spend the day. The park has attractions, an arcade, and a Johnny Rockets onsite. Things to know before you go: Make sure to wear closed toe shoes (many rides require them). Look up the age and height requirement for each attraction before going. Boomers offers several discounts you can purchase online, but be sure to print hard copies at home prior to your visit. Boomers is also available for school groups, birthday parties, scout, and teams. Miniature Golf – Choose between the Pirates Cove Course or King Arthur’s Royal Court, each has fun holes with obstacles to make the game more challenging. Go-Karts – Racing or riding, it’s always fun to go around the corners and see how fast you can complete the course. Closed toed shoes required. Hair longer than shoulder length must be tied back. Bumper Boats are a great way to cool off on hot days. Prepare to be soaked because each boat comes equipped with a water cannon. Boomers Batting Cages are equipped for any type of hitter.Choose between a slow pitch softball machine or a baseball pitching machine that can hurl the ball at 70mph. Boomers provides helmets and bats, or you can bring your own. Closed toed shoes and helmets required. Younger kids can enjoy mini amusement park rides. Fly a helicopter up, down, and around or spin faster and faster in your own teacup! Kids under 48” may enjoy Kidopolis, where they can climb, crawl and slide in a colorful play structure. Socks are required for Kidopolis. Arcade: Indoors at Boomers, you’ll find over 100 video games. Play for fun or win tickets to claim prizes. Game cards can be purchased for any dollar amount. Virtual tickets are recorded on game cards. Laser Tag: Teams fight for bragging rights on the Boomers Laser Tag Battleground. Enter the blacklight maze with friends and try to tag people without getting hit. Laser tag is competitive, strategic and fun! Located in south Vista, the Glow Zone Family Fun Center has unique attractions for all ages. The huge glowing space houses agility courses, play structures, mini-golf, bumper cars, a cafe and more. Between all of the attractions, you’ll find unique video games, like a larger than life Space Invaders. Glowzone requires closed-toe shoes for most attractions. Check height, age, and weight limits for attractions prior to your visit. Glowzone is also available for birthday parties. (48”+) 26’ above the other attractions, the course has nets, ropes, obstacles and even a zip line. Look down on the other guests as you navigate your way through the course. (7 years+) The Glowzone Ninja Warrior Course is challenging. Kids will have to run, jump, leap and climb their way to the finish line. The course is timed and the only way to stop the clock is by pressing the buzzer on top of the vertical wall. (7 years +, younger kids may participate if accompanied by an adult) Bazooka Ball is a painless hybrid of Paintball and Laser Tag. Participants gear up and battle against each other in teams. Players shoot foam balls at each other and score by hitting the opposing team’s armor or targets. (At least 5 years and 45lbs) The Rock Climbing section of Glowzone has 28’ walls. Challenge yourself to see if you can make it to the top, or challenge someone else to see who’s fastest. (7 years +) Adrenaline junkies will have to use their own strength to hold onto a bar, as they are hoisted 30’ into the air. Went they let go, they fall completely vertically until the slide portion at the bottom. Drop. Slide. (At least 5 years and 60lbs) The Pole Walk not only tests agility but fear of heights. The idea is simple, jump from pole to pole. However, the poles start at ground level and climb 20 feet in the air. At the top, you have to take a “leap of faith” back down to the ground. (At least 5 years and 36”) Partially controlled by the attendant, these cars not only go where you want them to but are remote-controlled to spin in unison! If the cars are “bumped” just right, they will also spin! The cars are elevated on an inflatable tube, so even at full speed, the bumping is fun and smooth, not jerky and rough like most bumper cars. The bumper car area is small, but so much fun! Soft City Jungle Gym (7 years and under) $10 Per Entry: The Soft City Jungle Gym is a separate area from the other Glowzone Attractions. This area features a giant play structure, couches for the parents and movies on the TVs. Quieter and away from the big kids, you can enter Soft City for $10. Monthly membership allows 10 entries for $80.